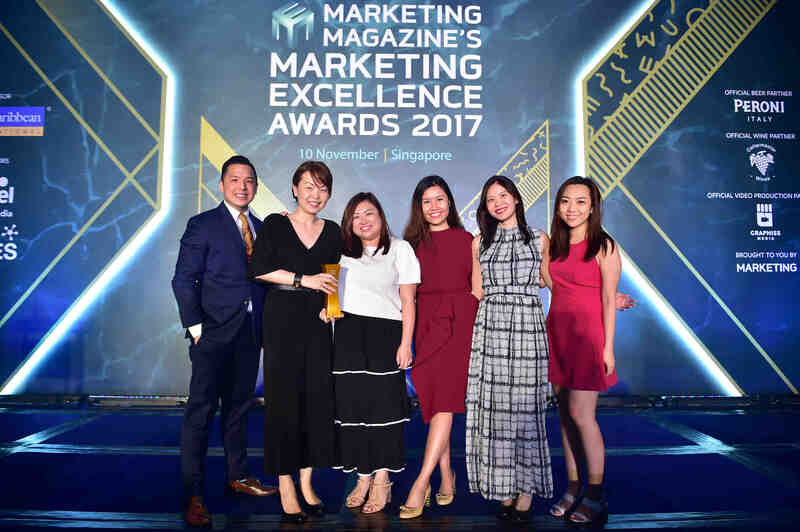 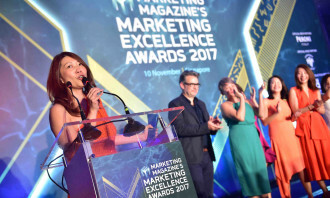 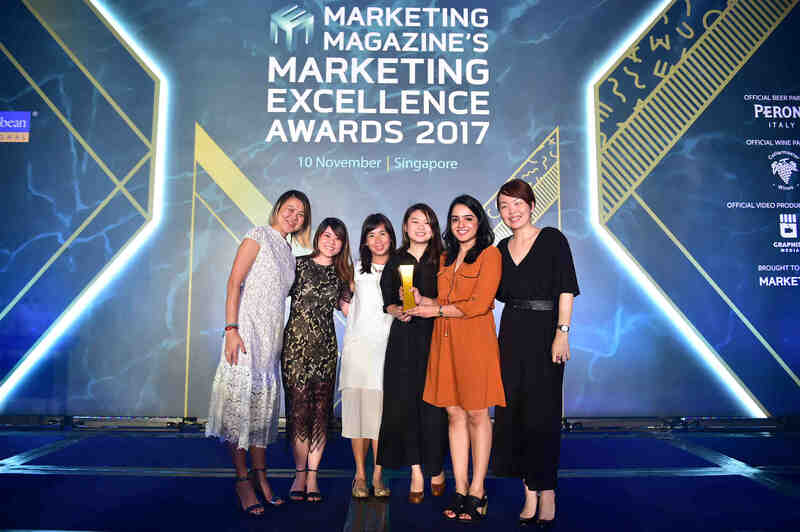 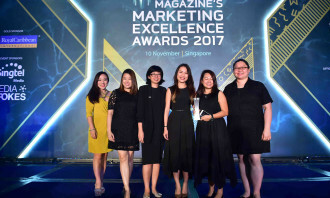 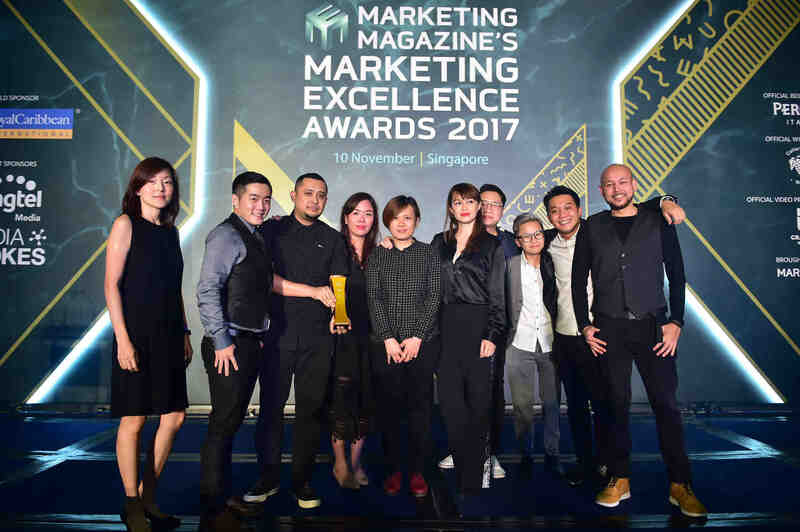 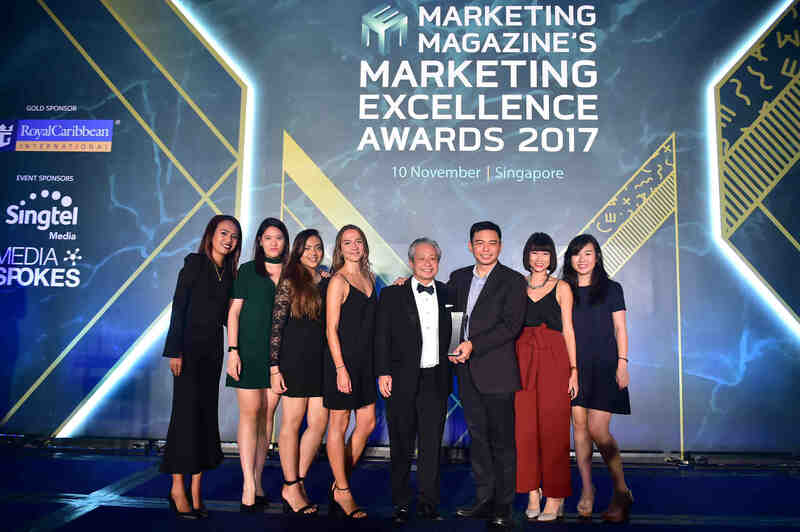 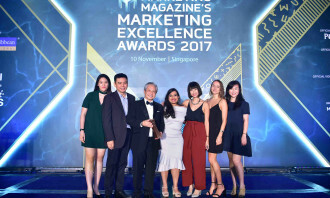 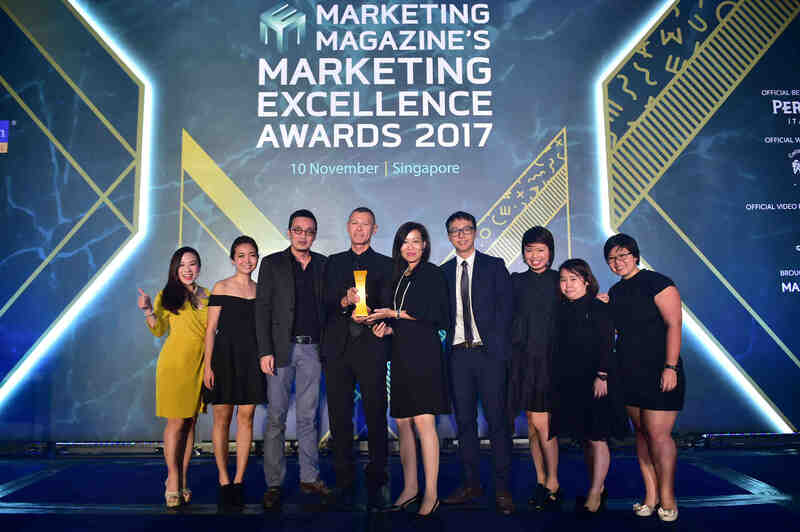 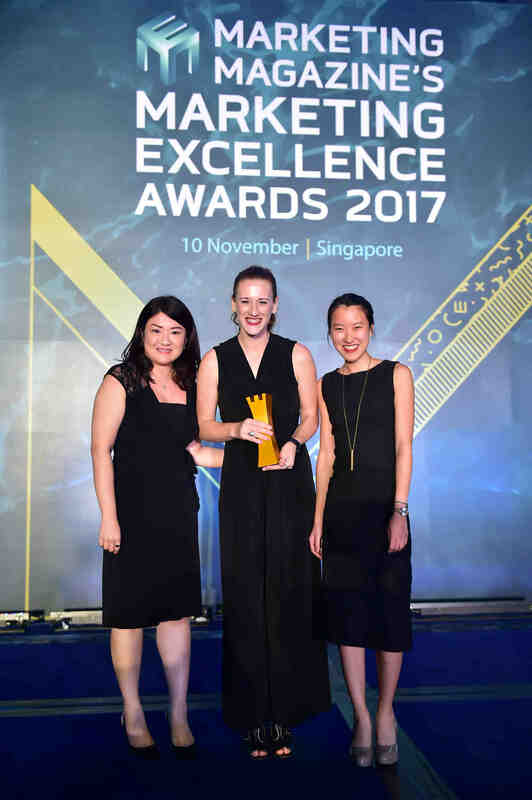 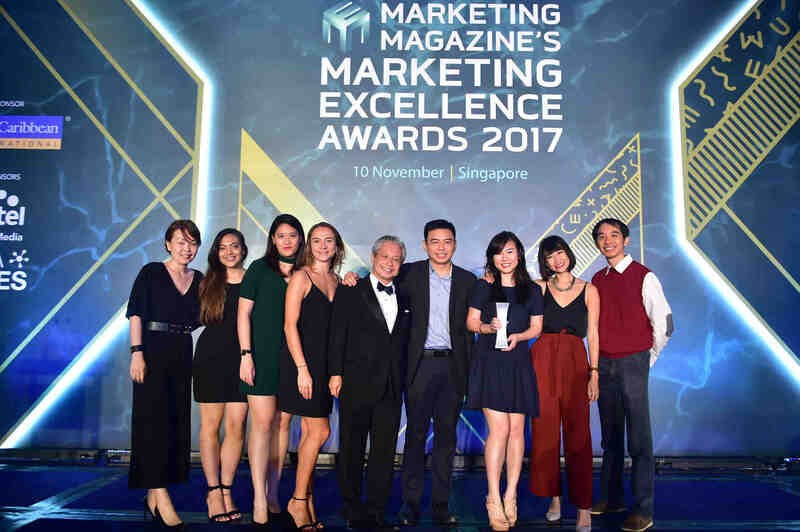 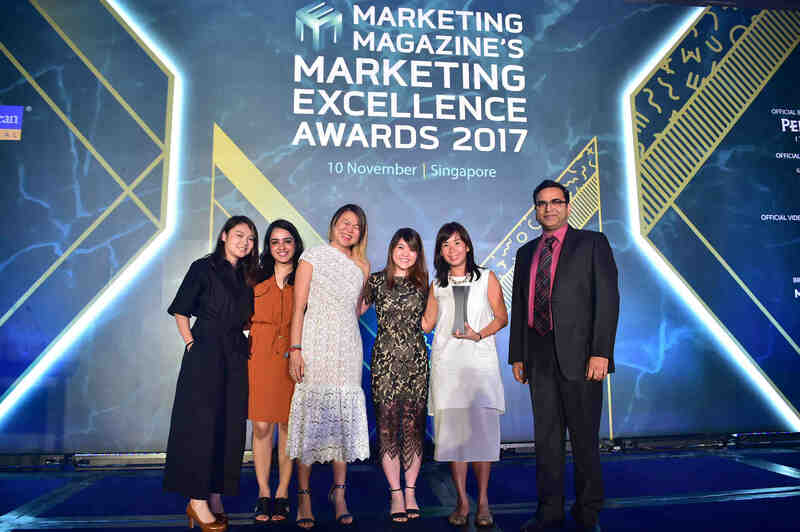 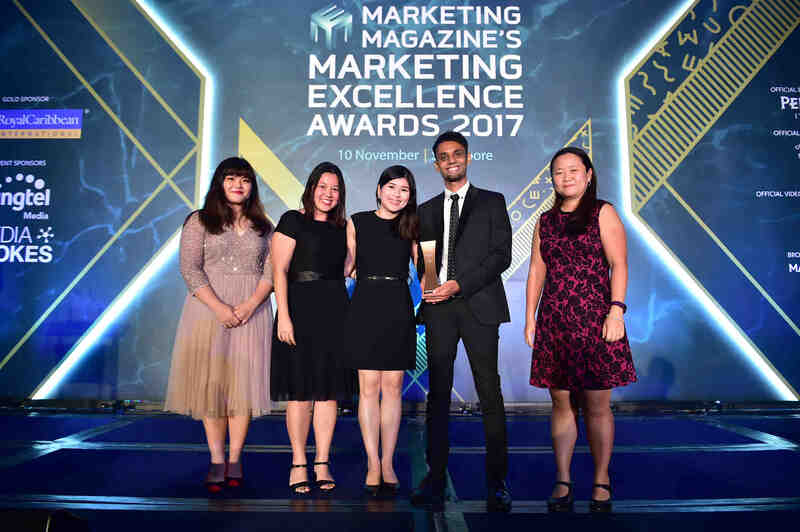 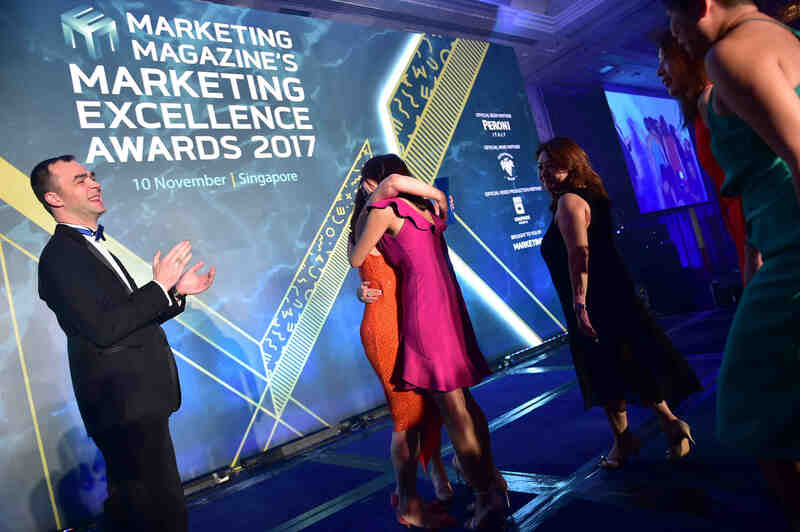 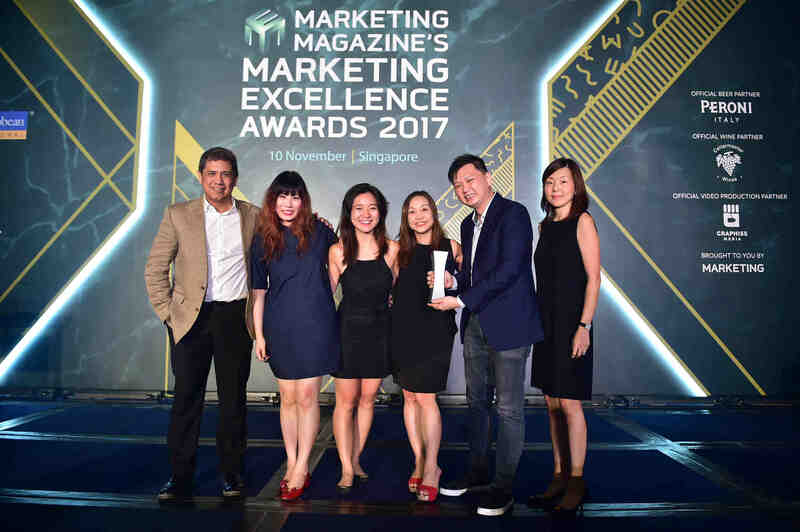 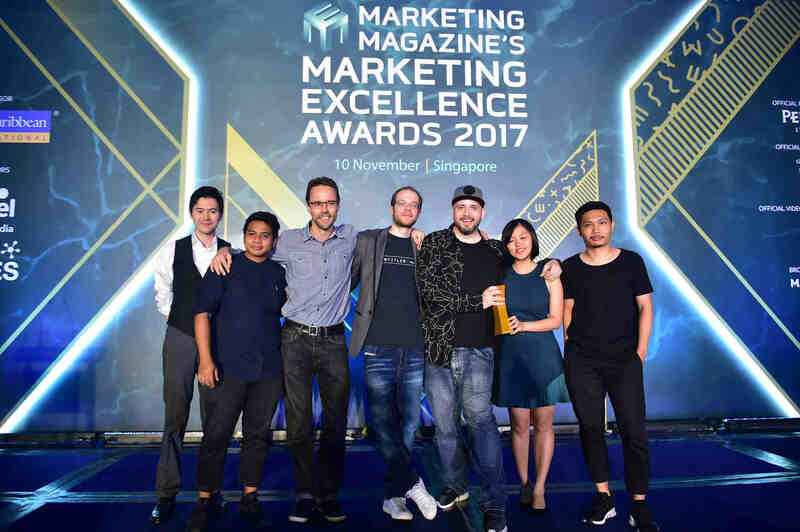 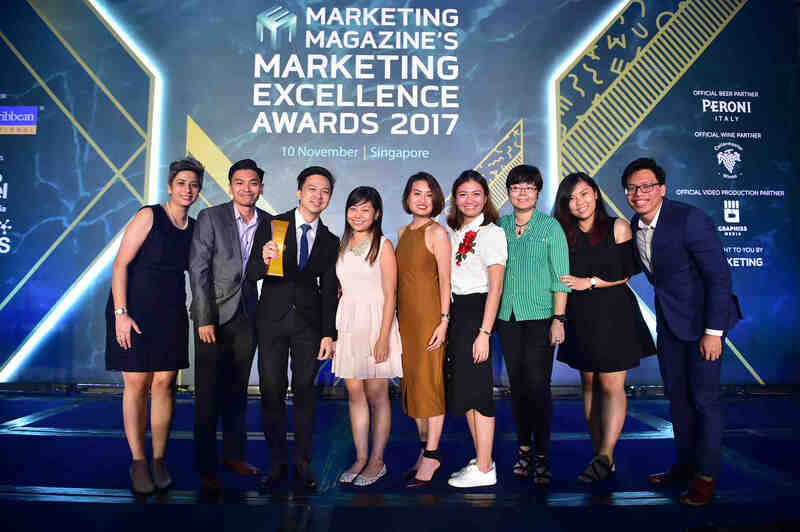 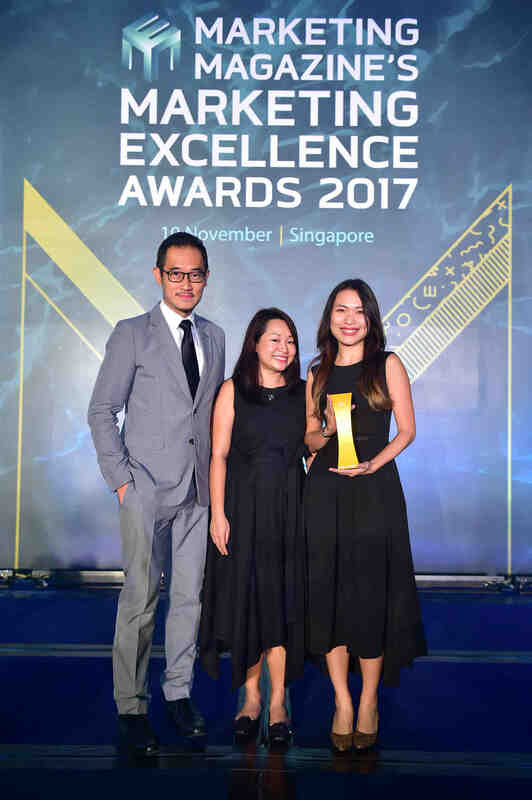 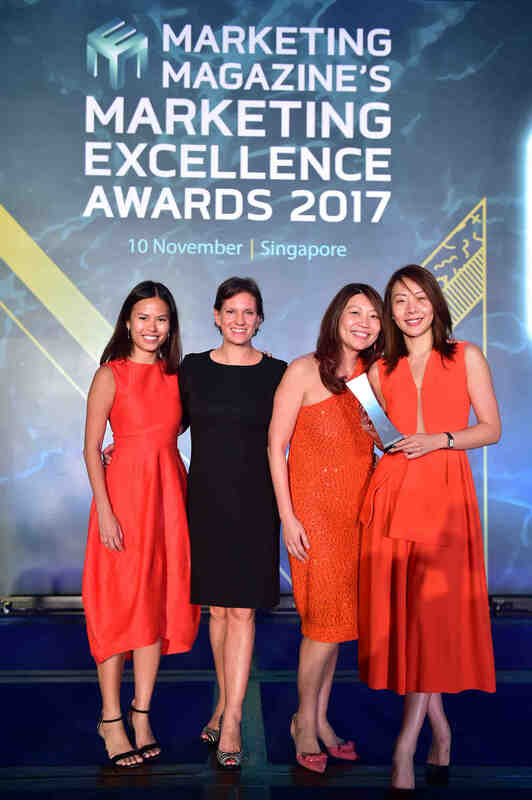 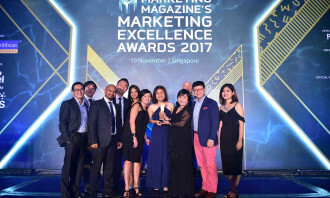 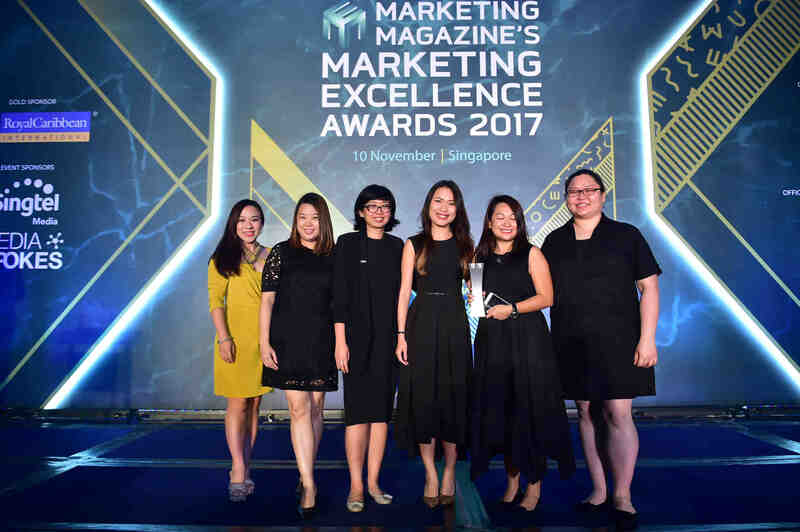 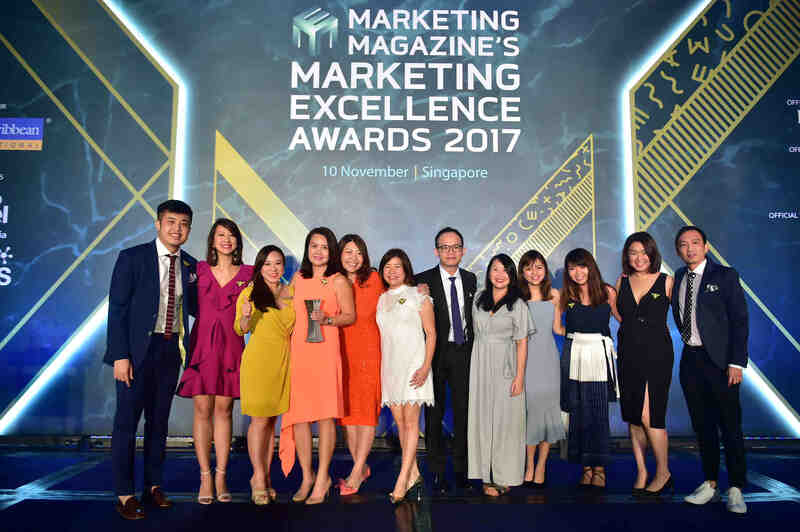 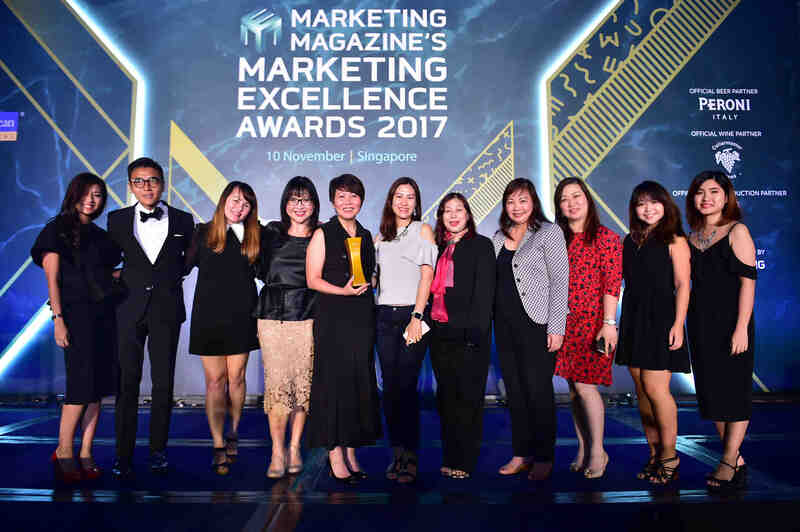 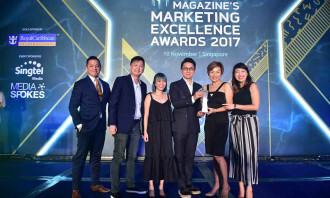 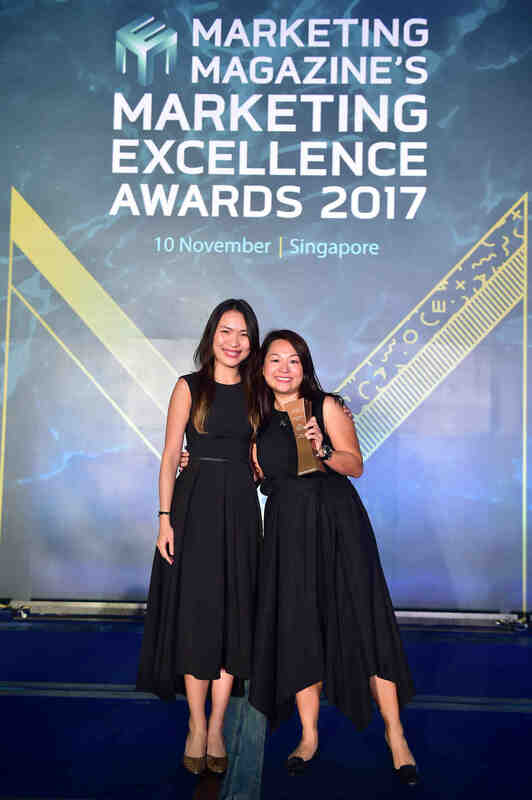 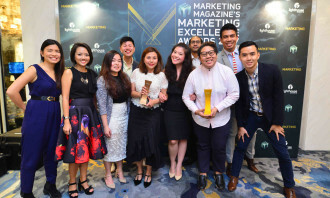 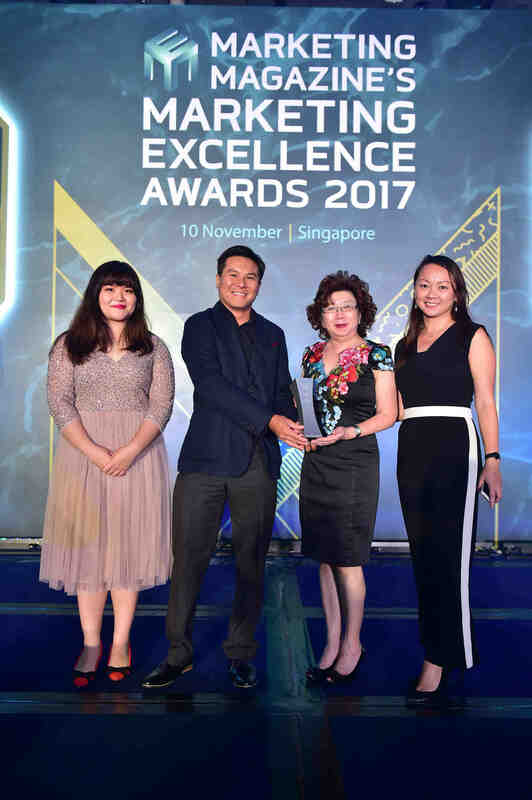 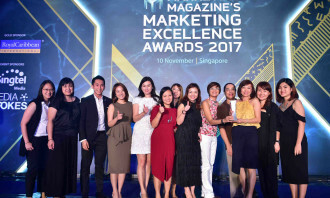 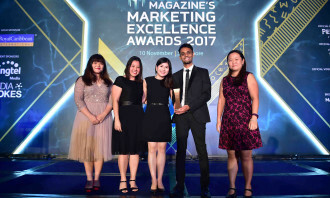 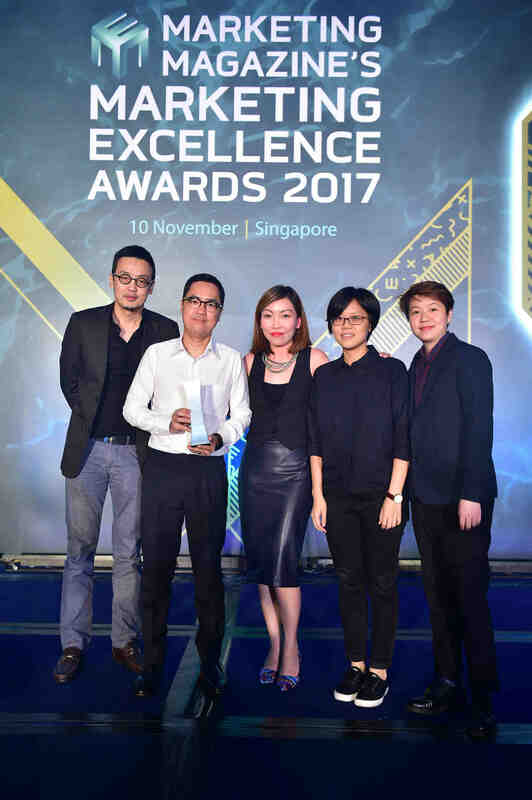 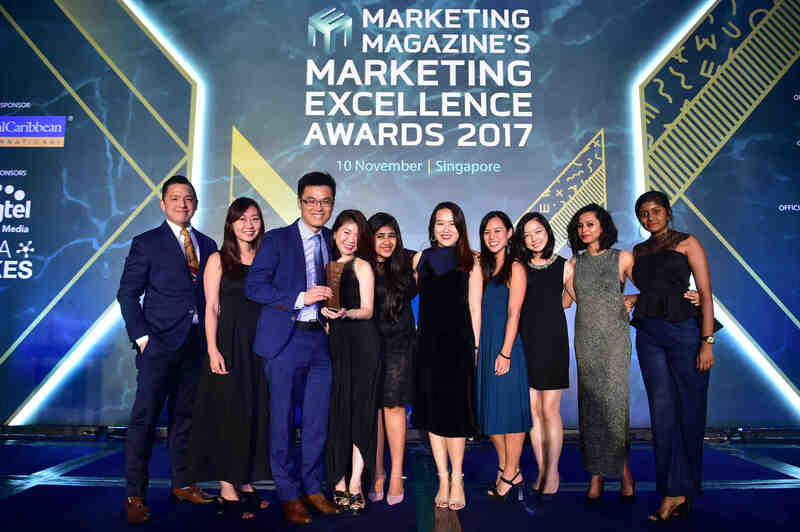 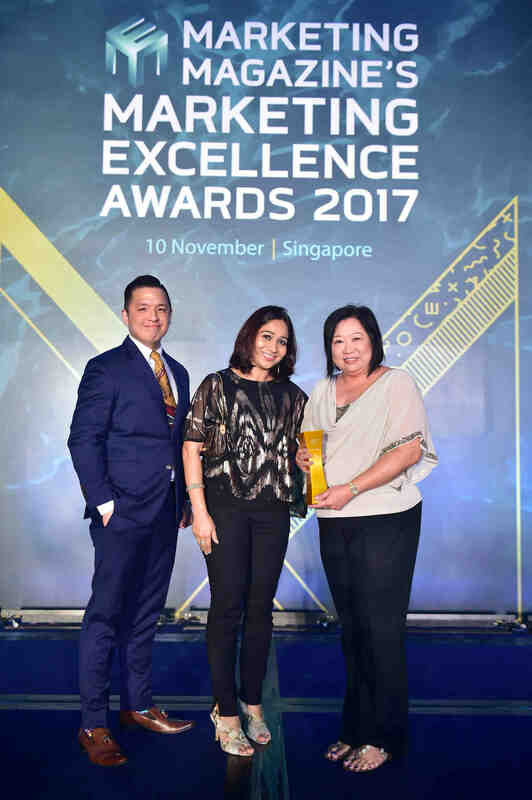 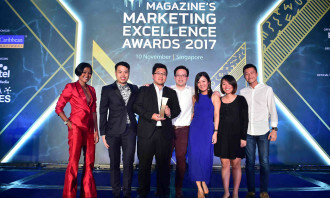 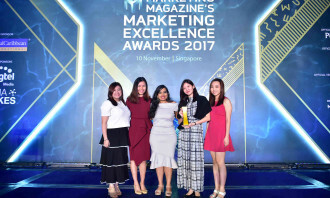 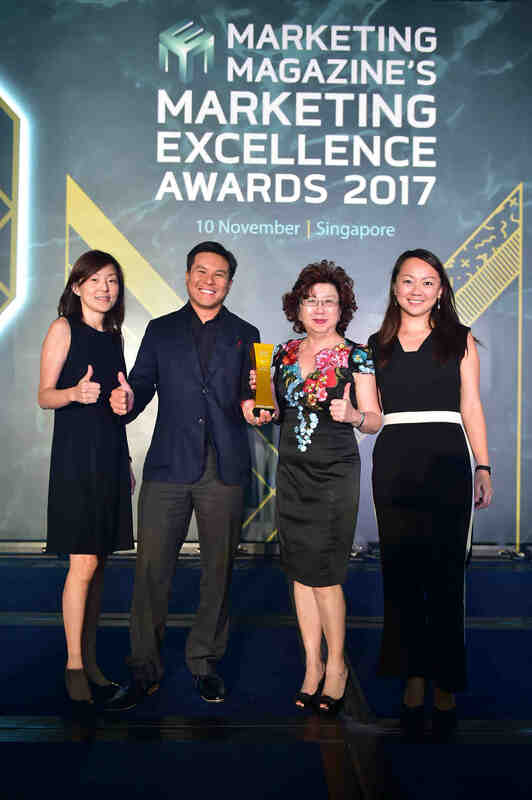 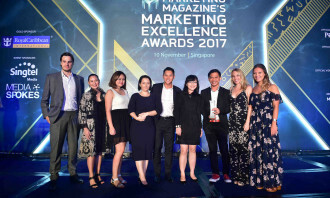 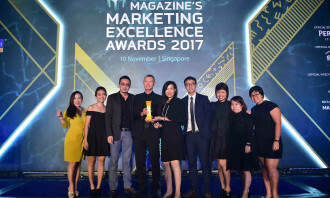 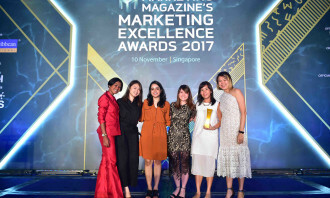 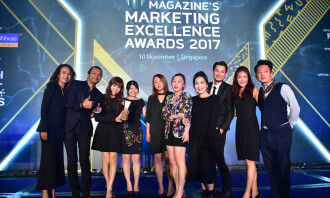 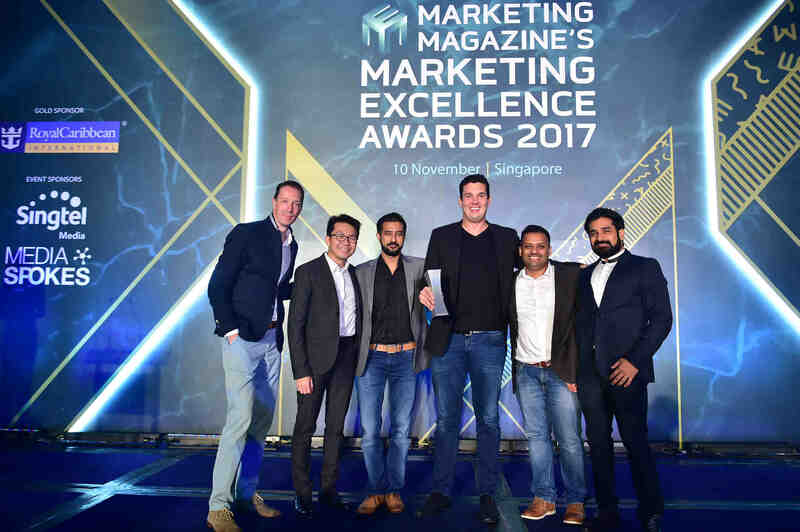 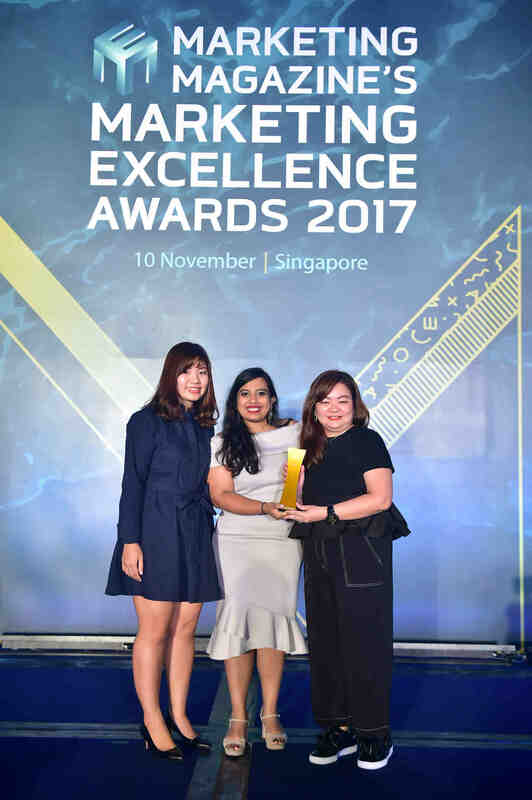 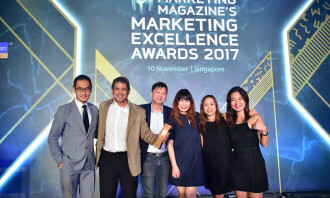 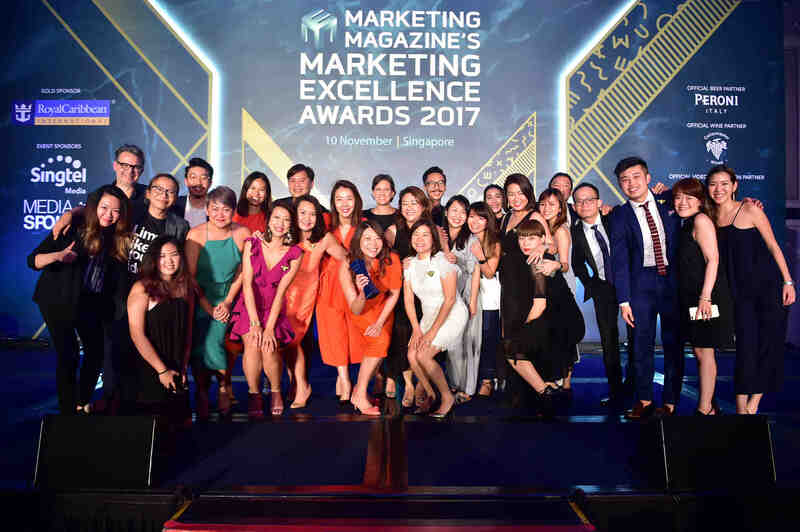 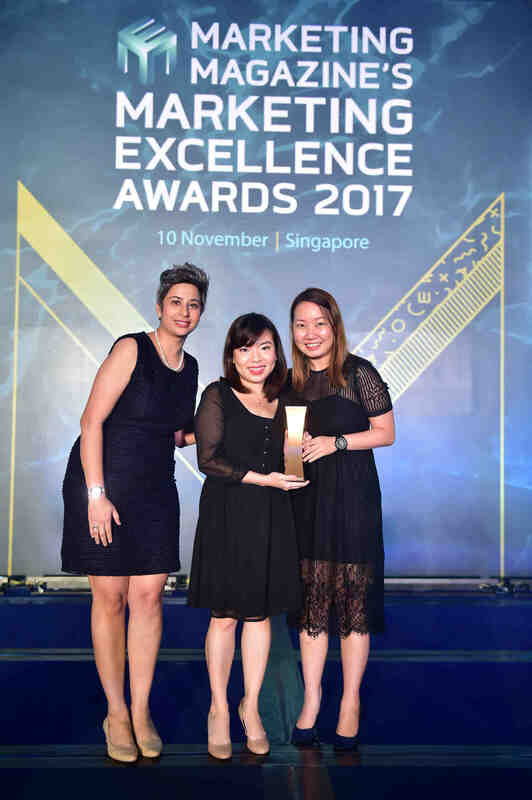 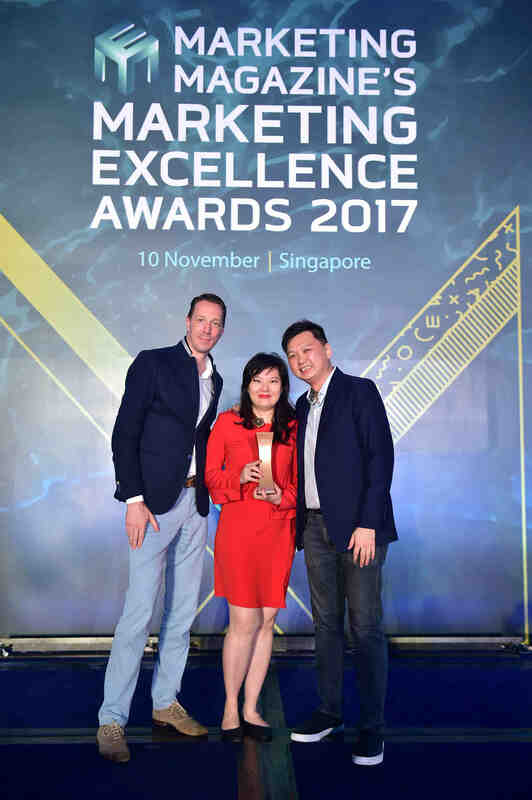 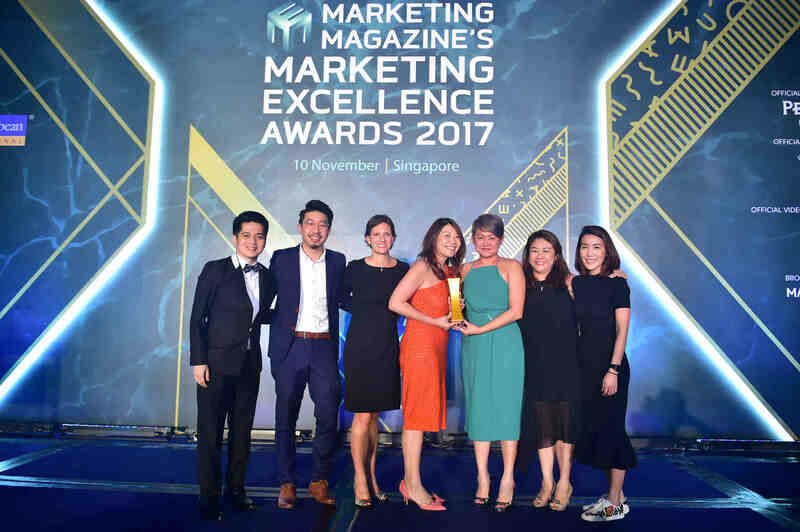 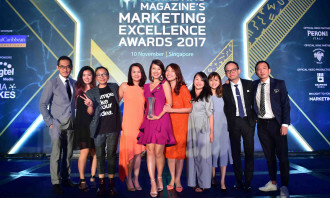 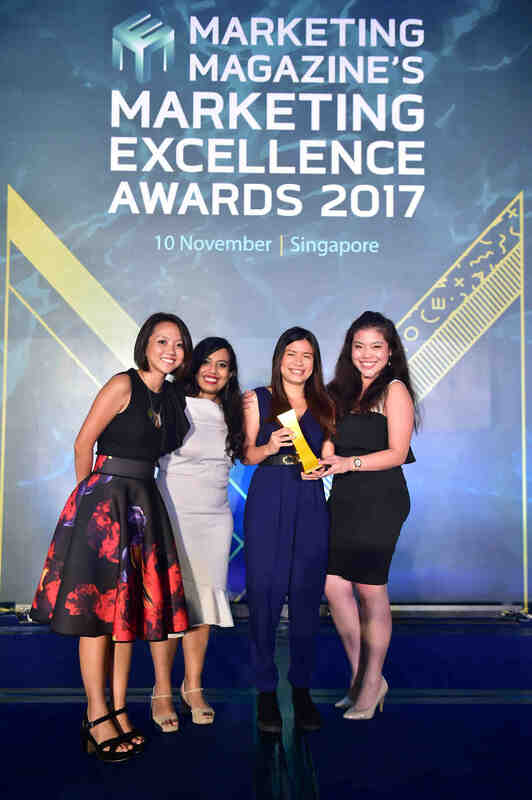 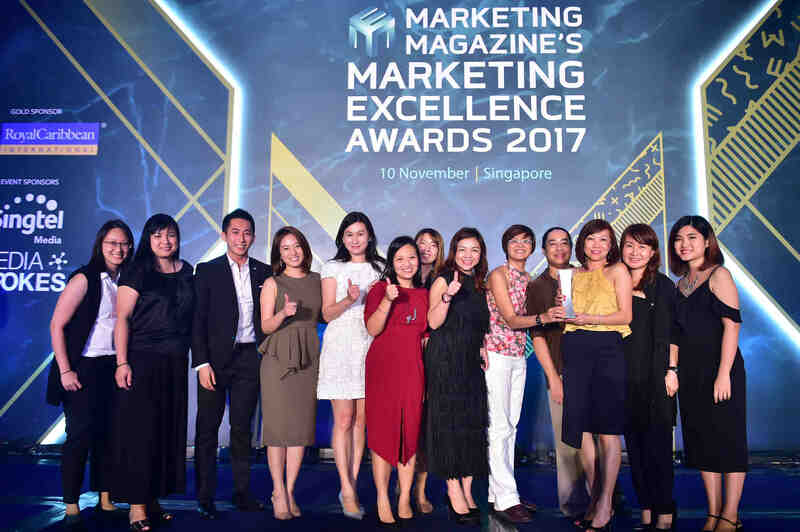 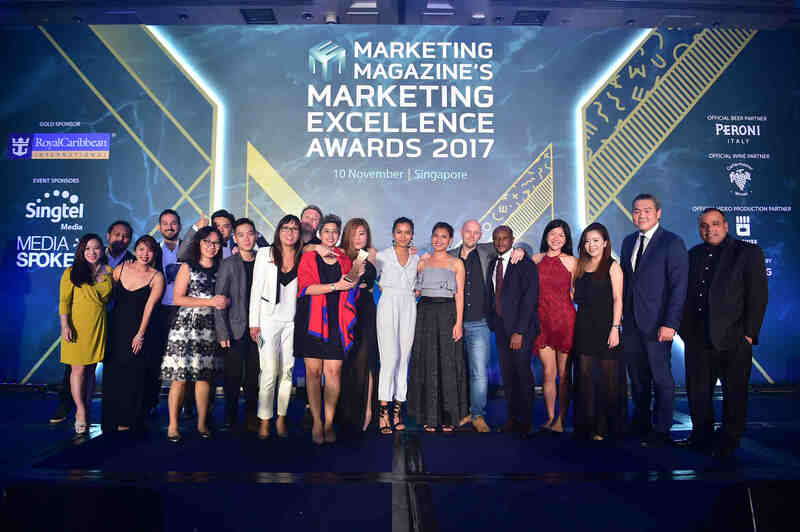 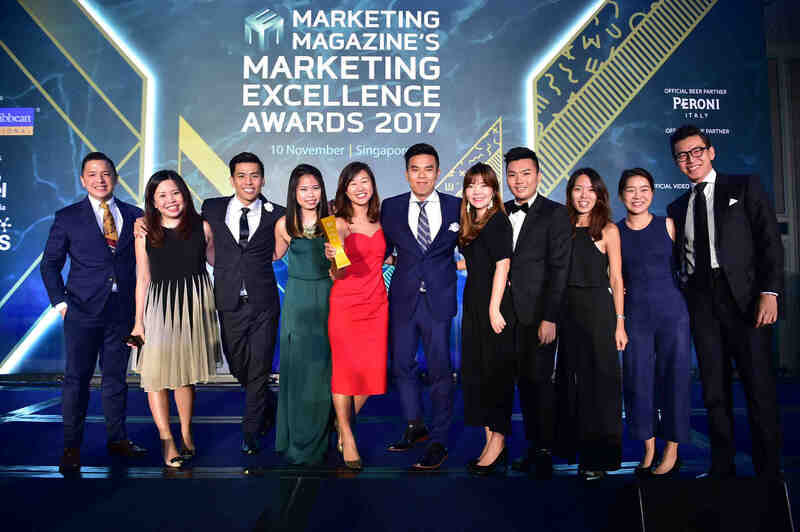 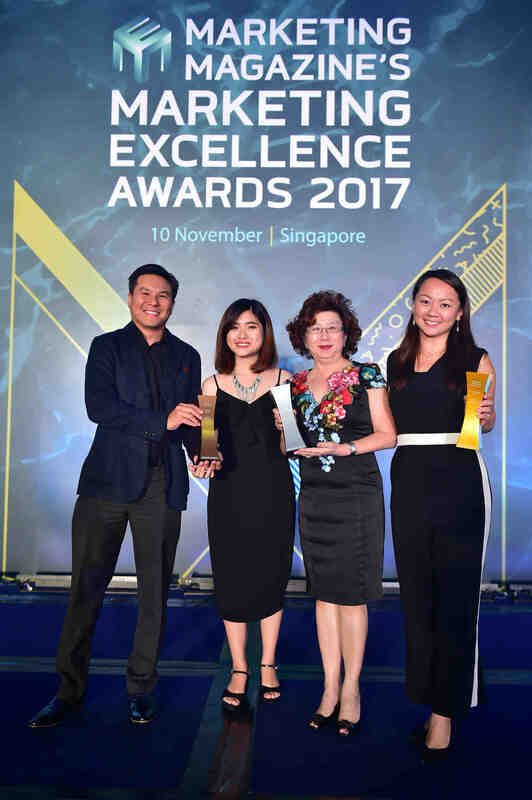 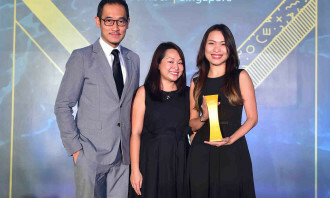 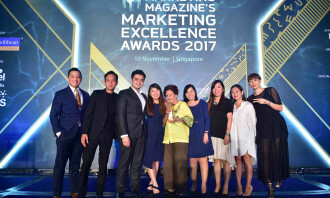 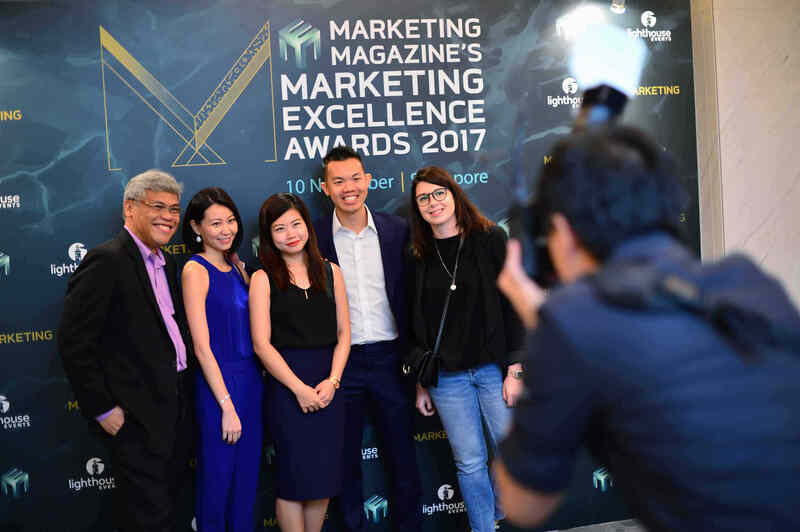 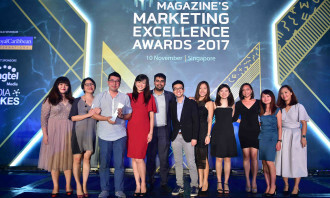 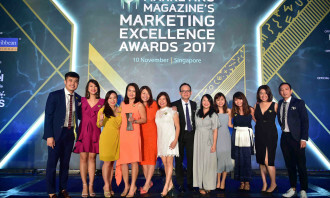 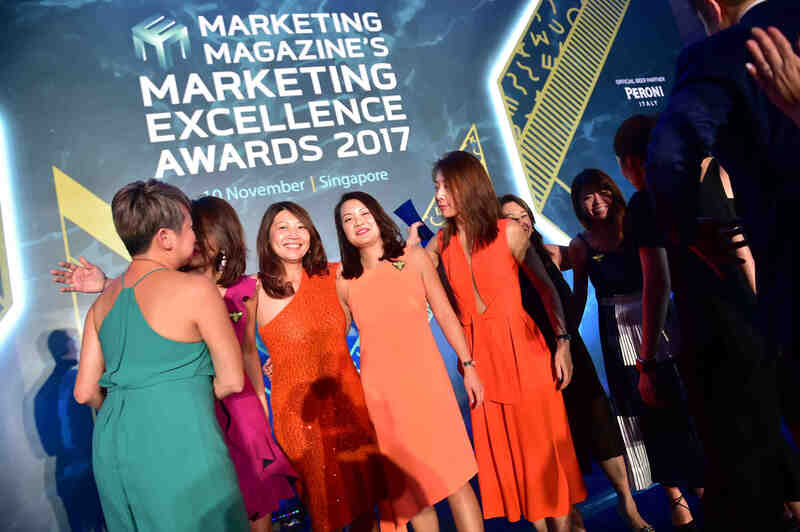 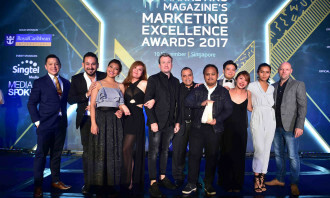 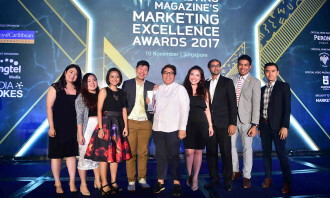 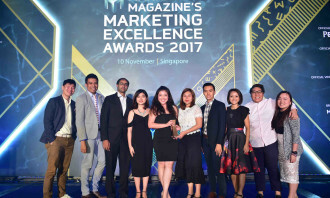 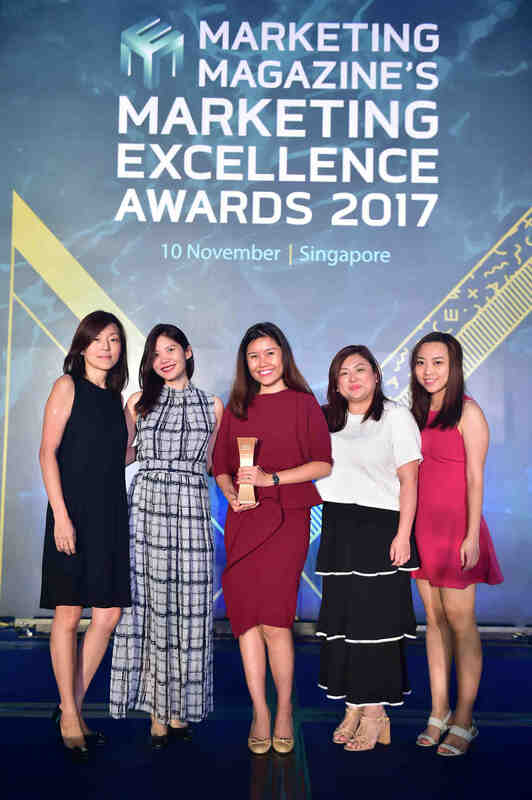 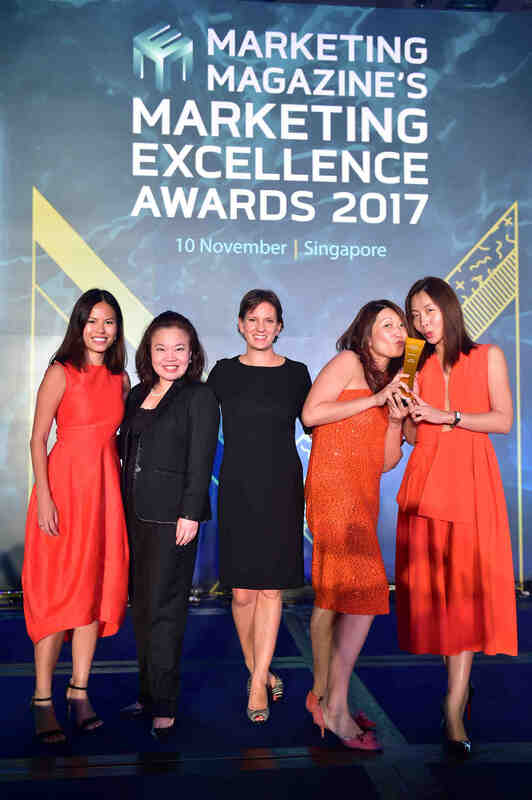 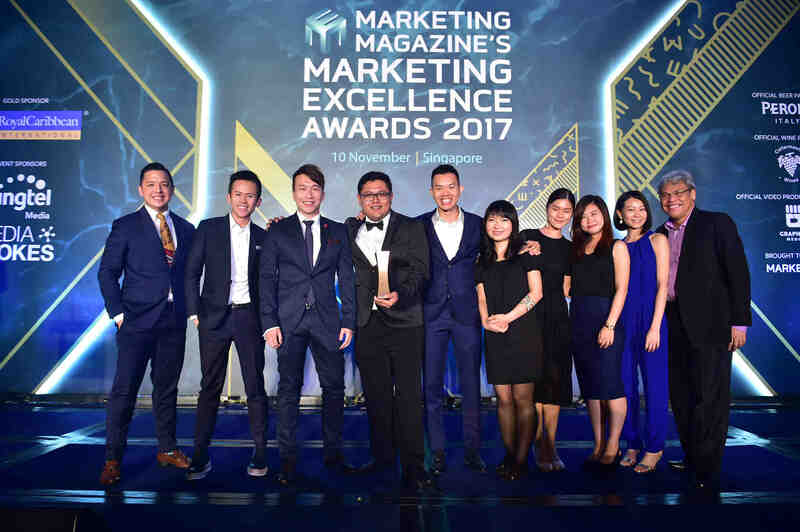 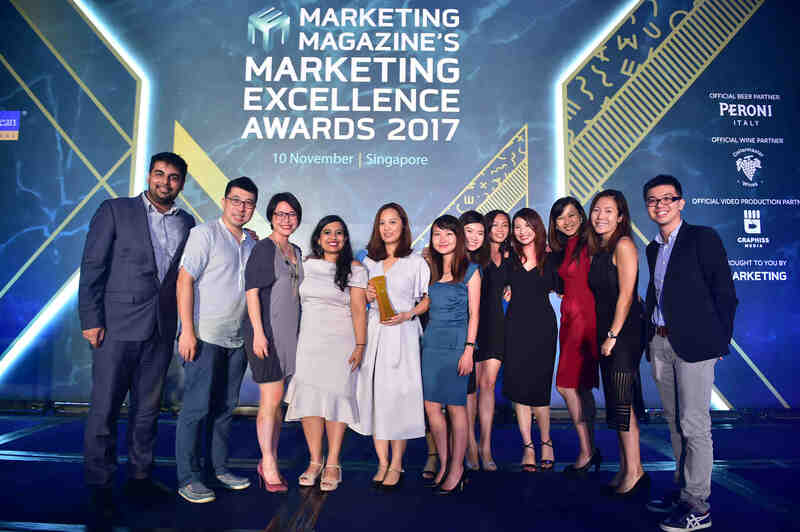 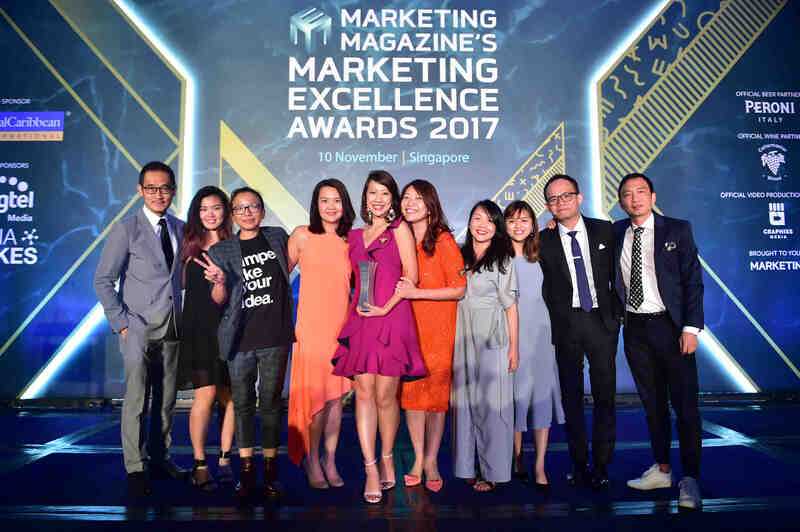 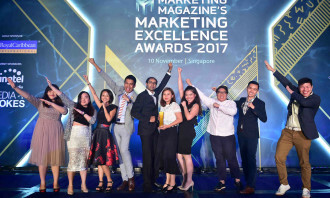 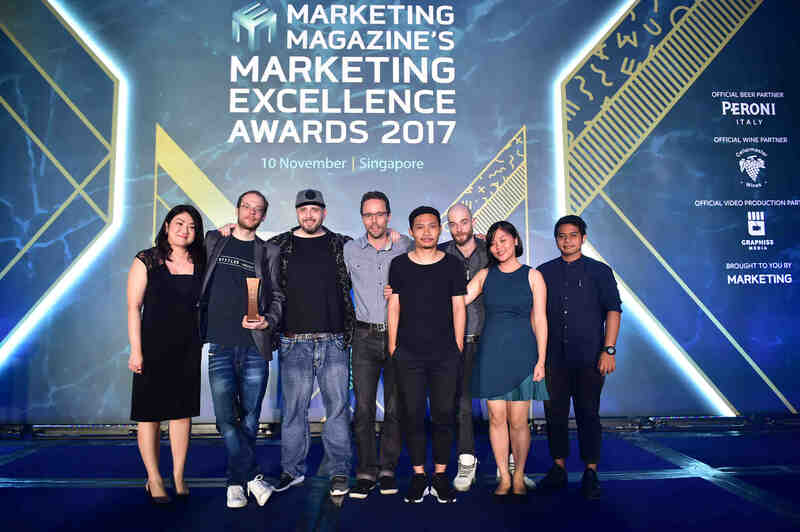 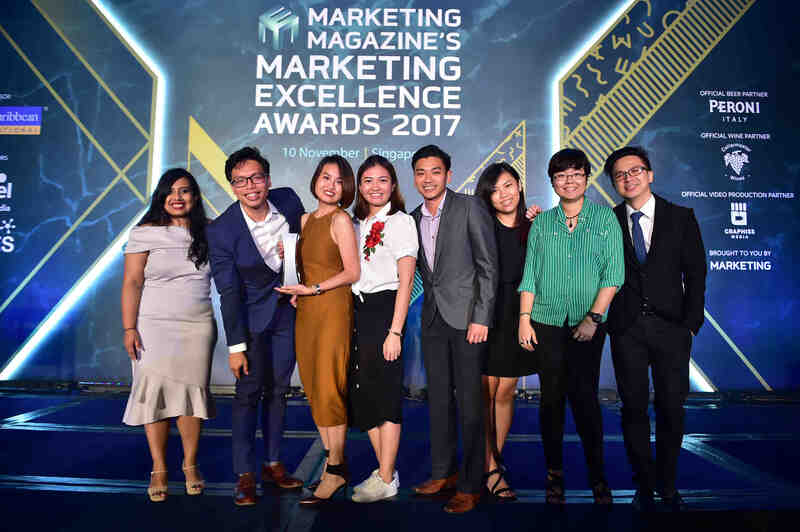 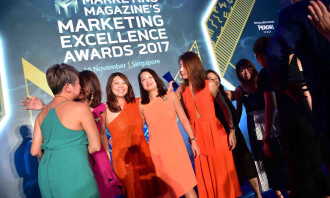 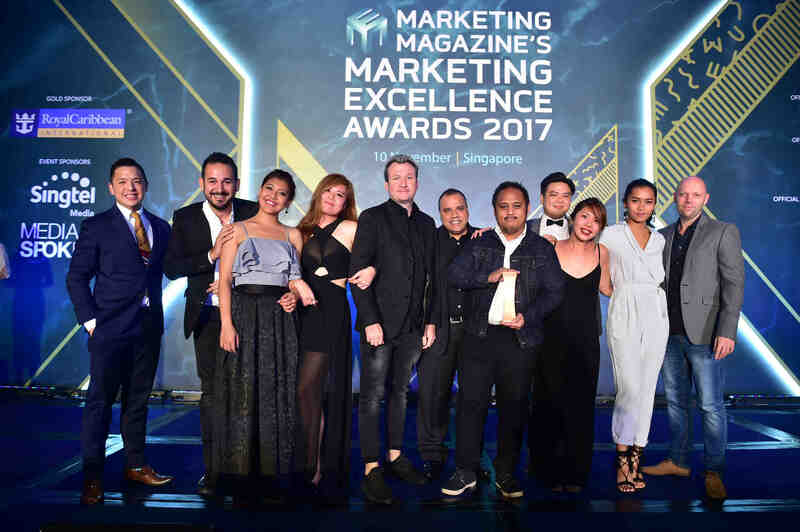 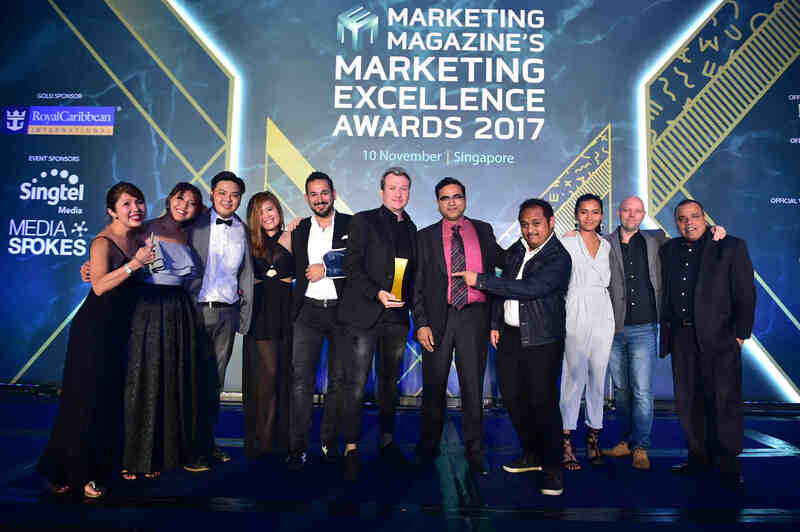 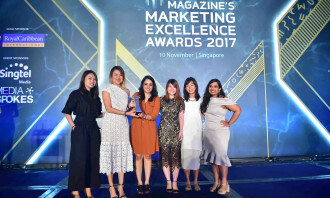 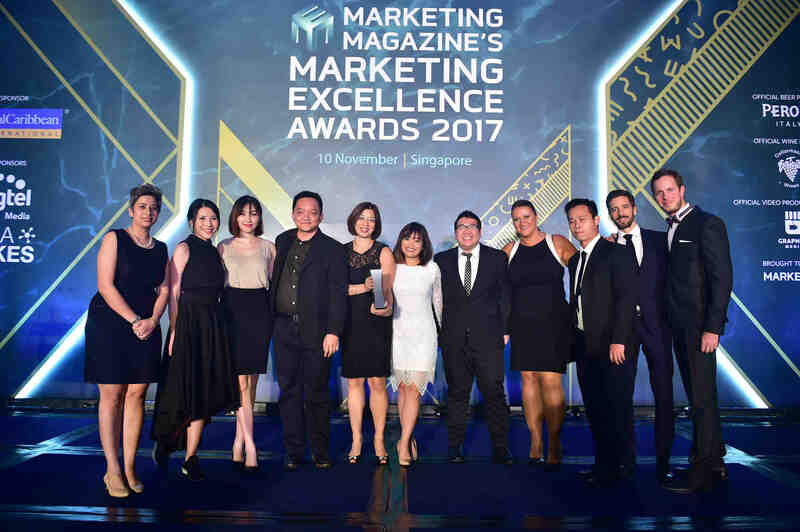 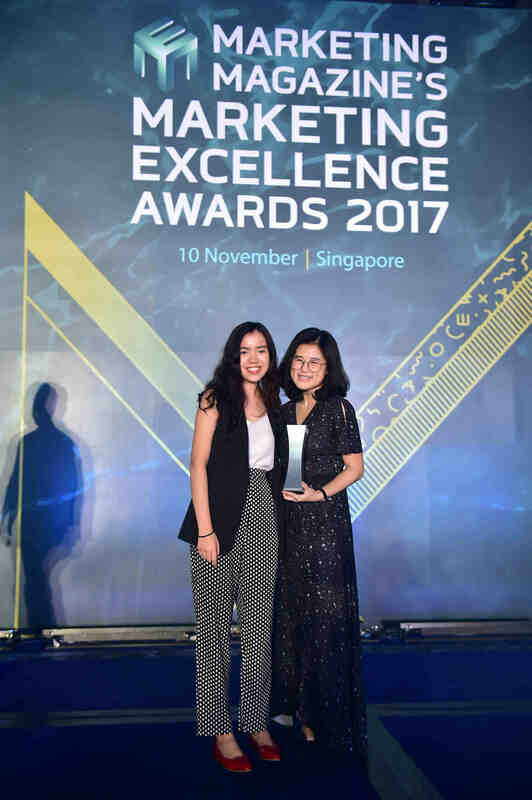 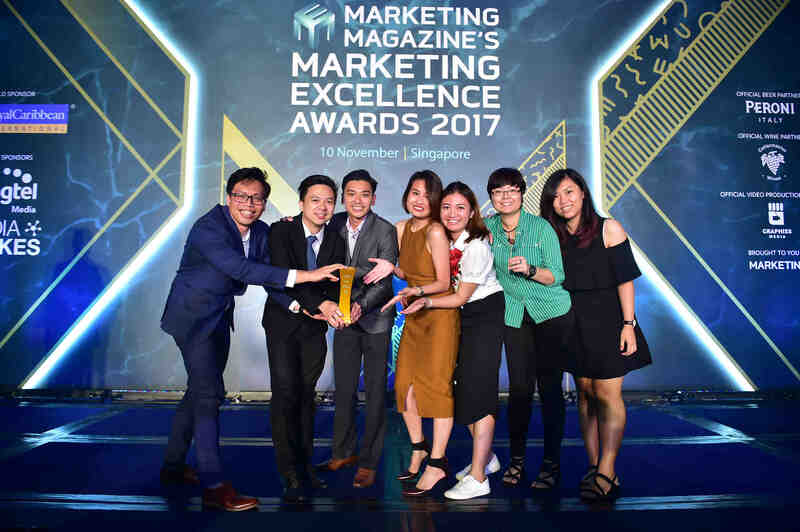 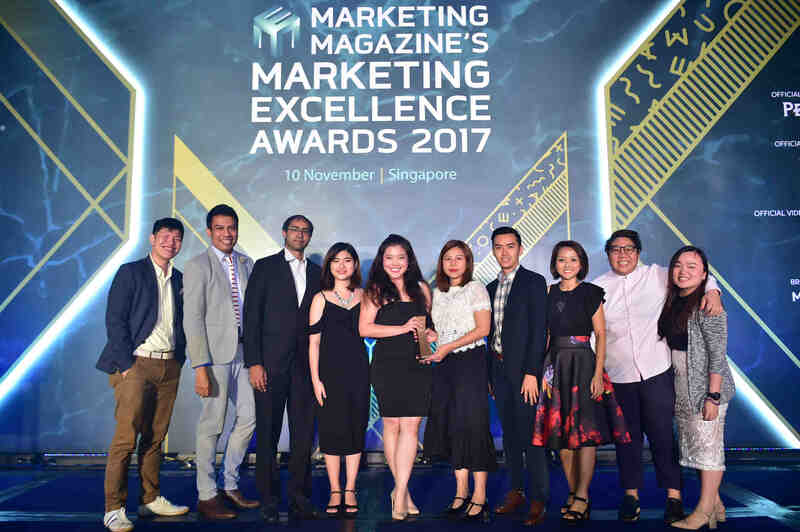 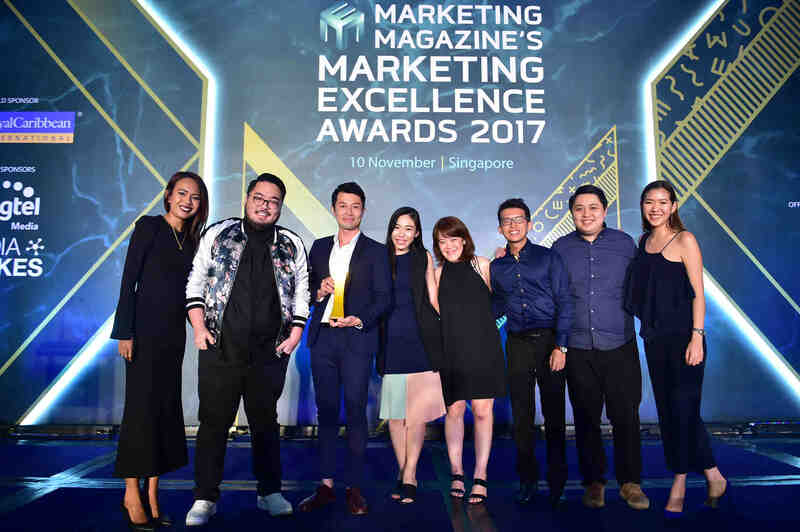 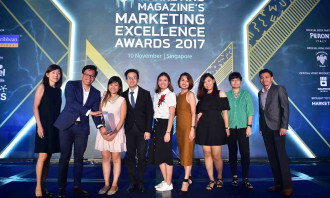 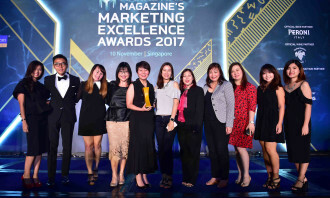 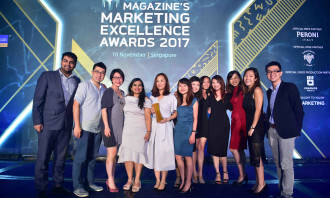 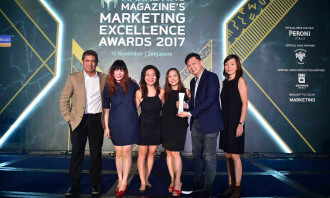 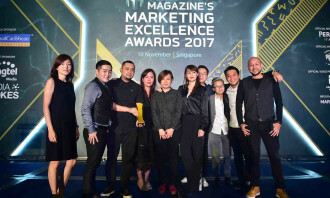 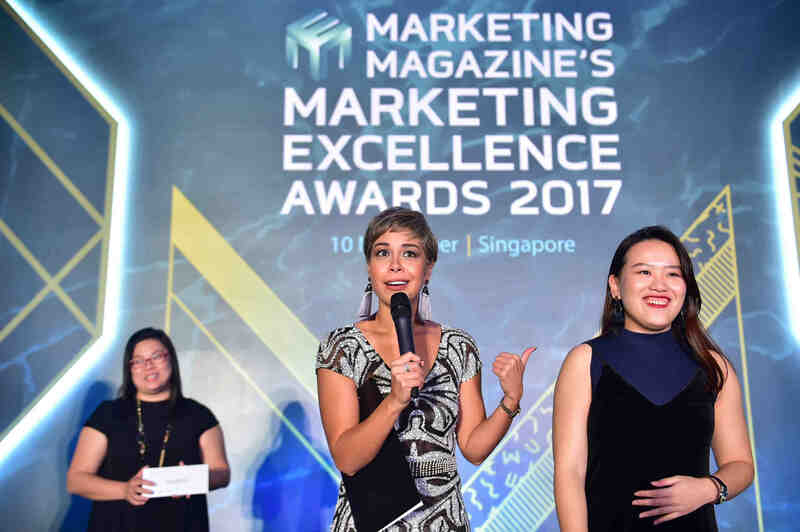 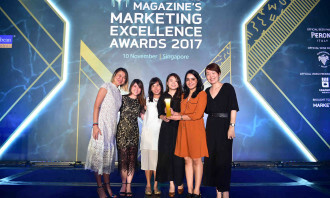 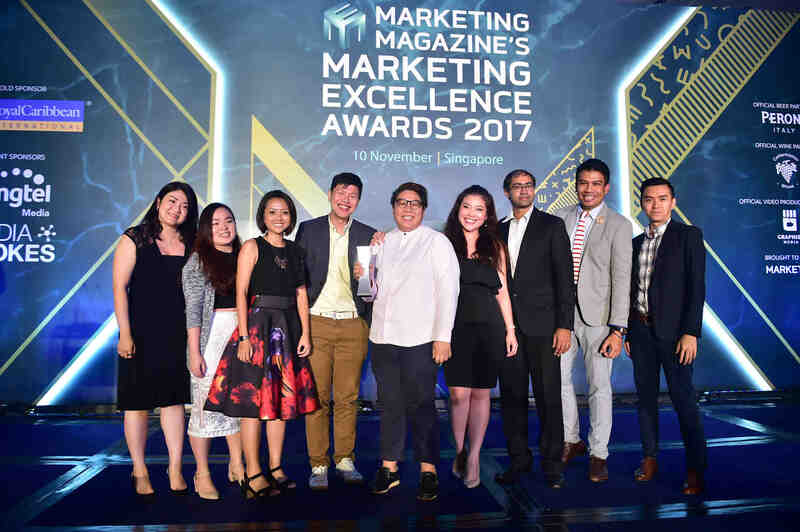 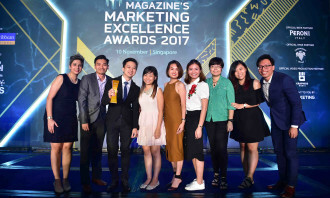 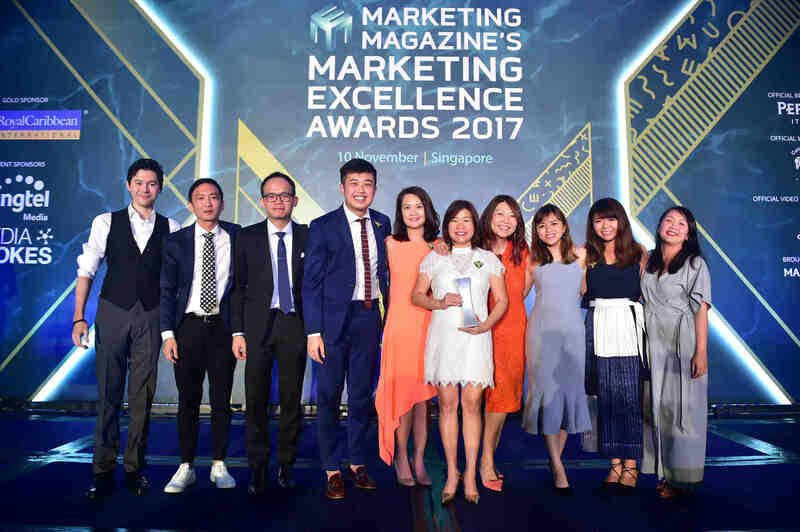 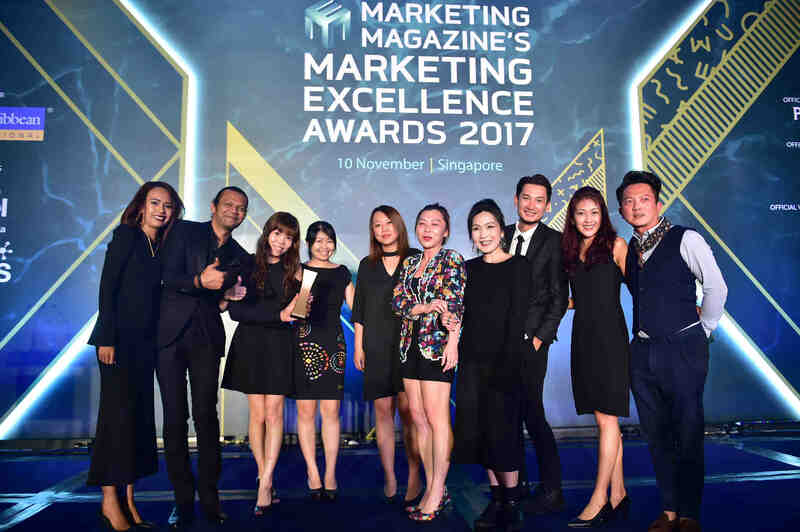 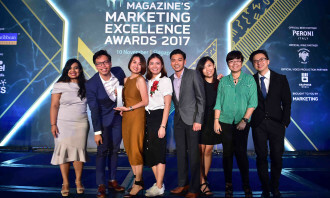 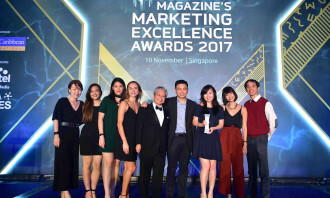 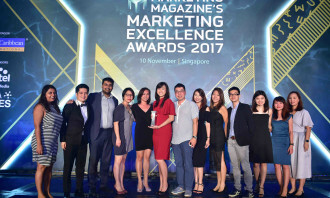 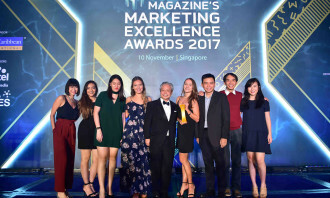 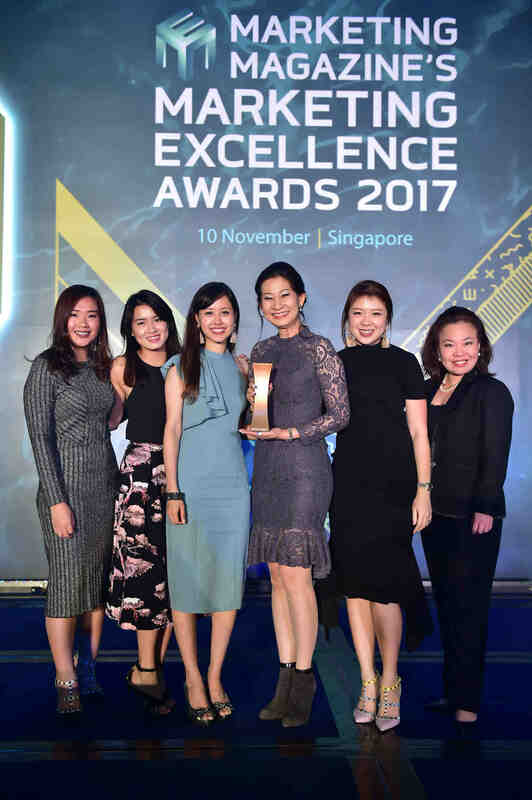 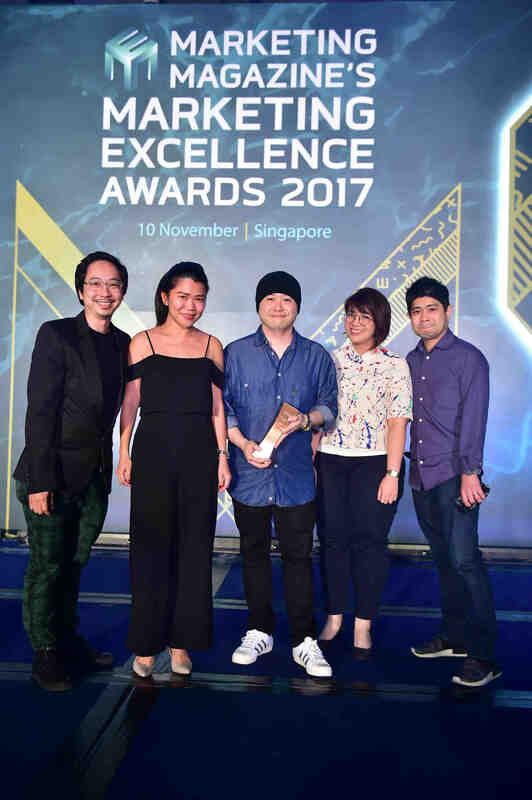 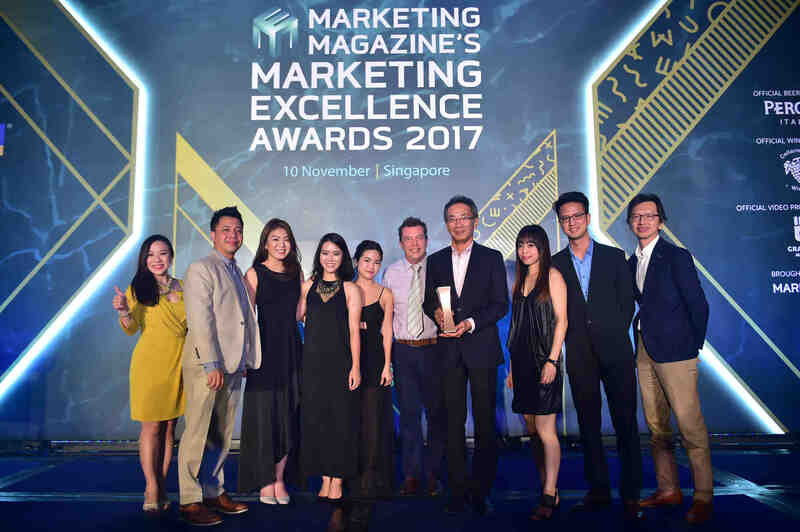 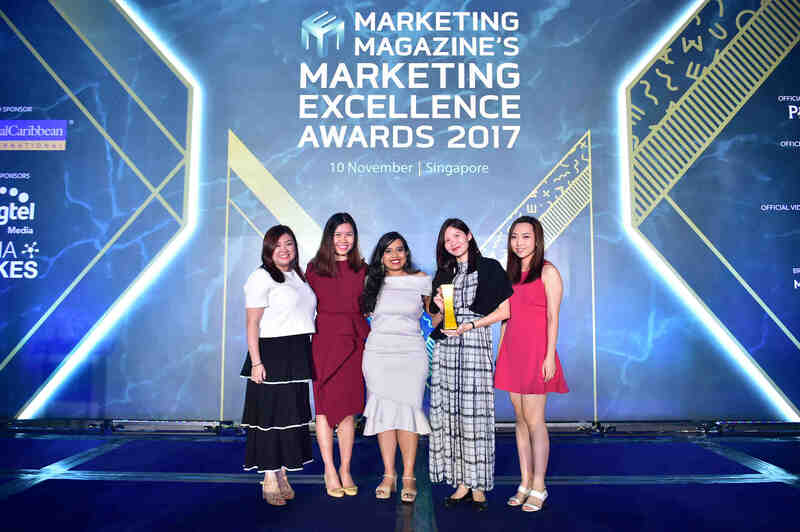 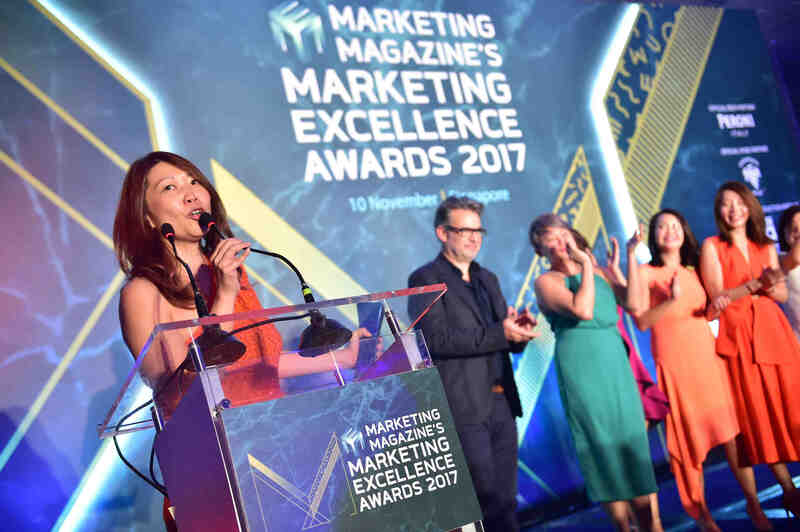 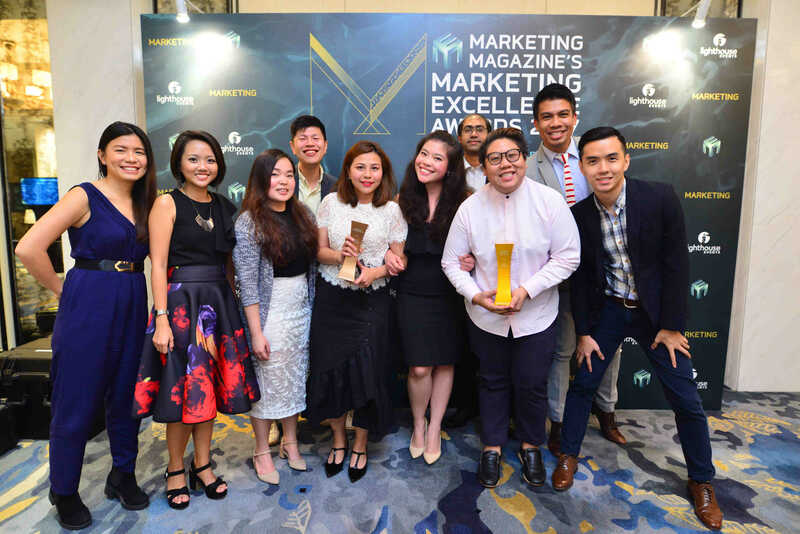 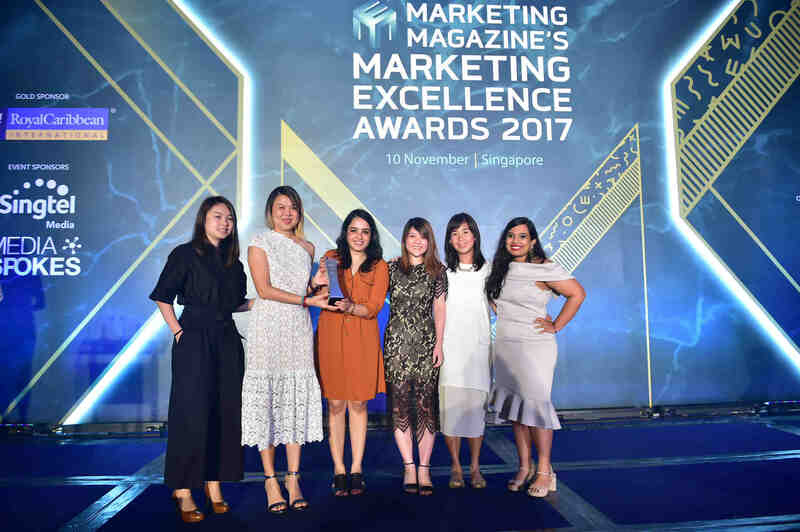 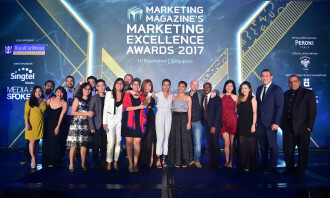 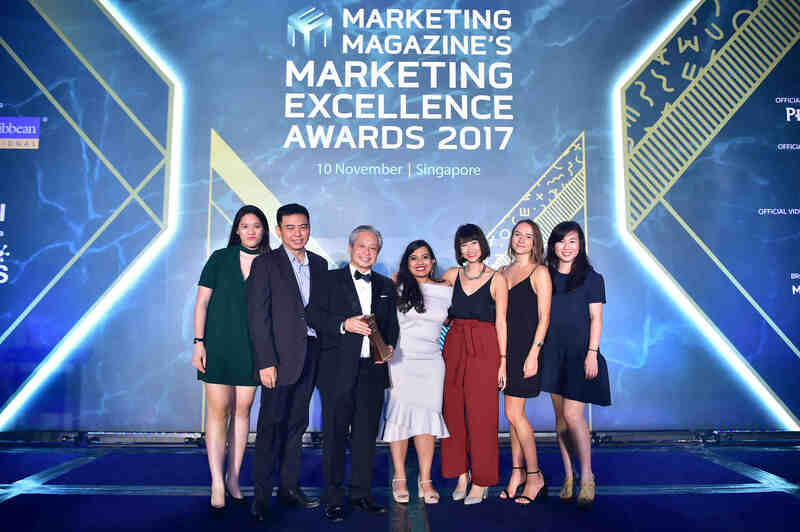 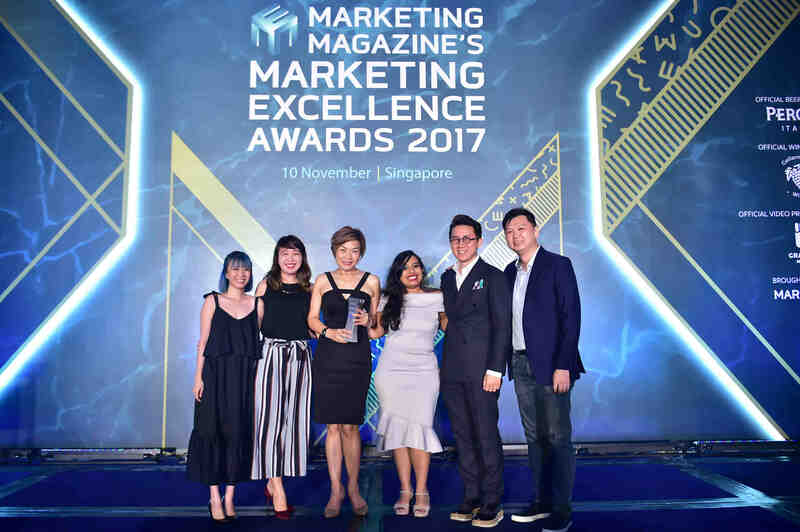 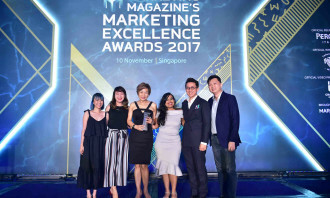 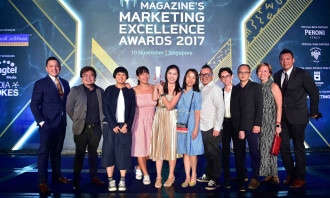 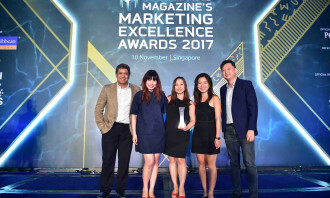 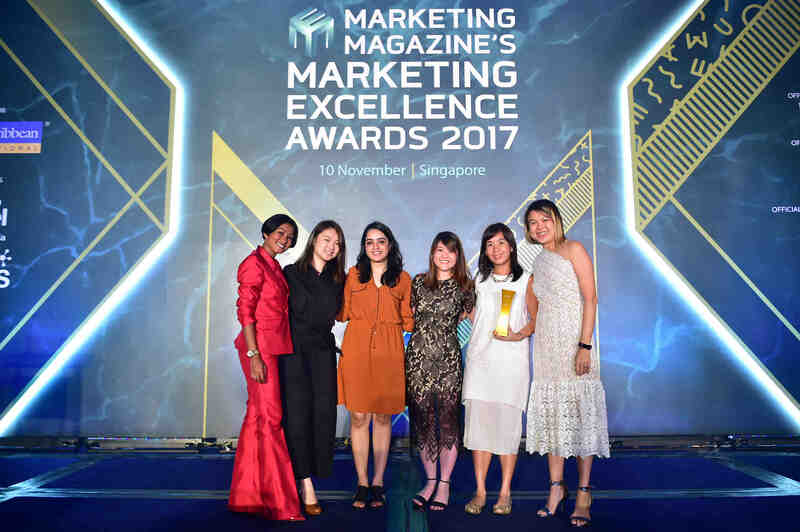 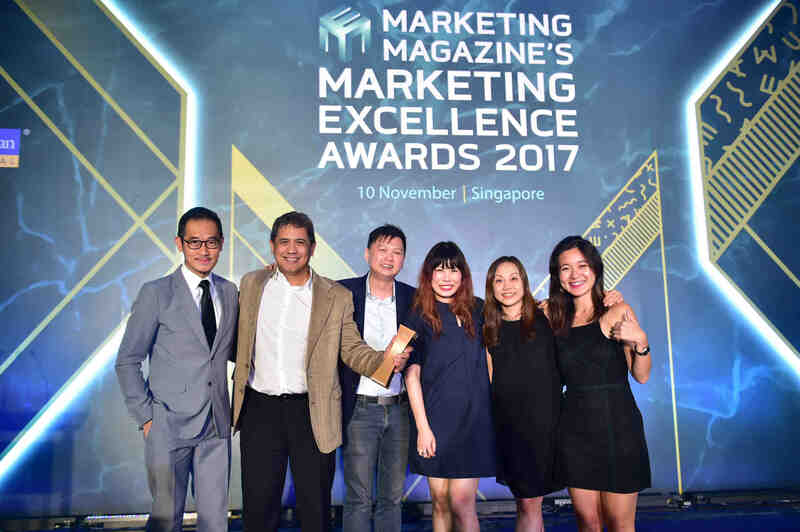 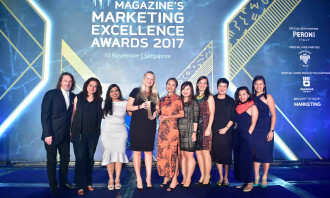 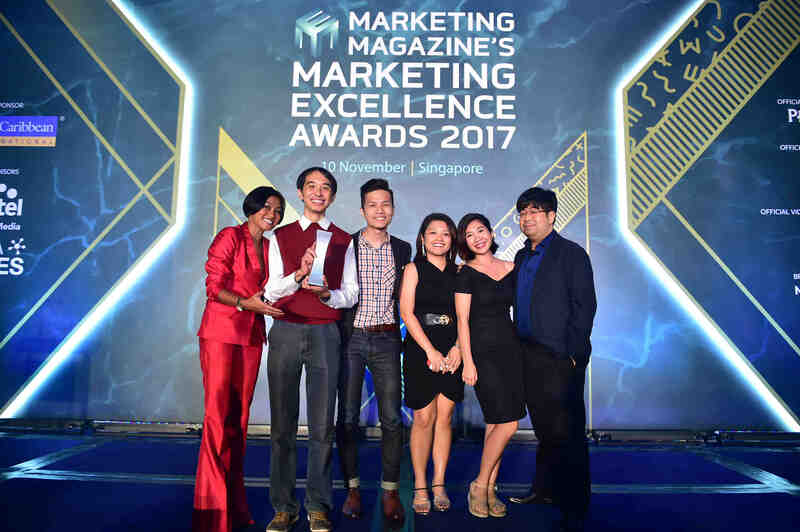 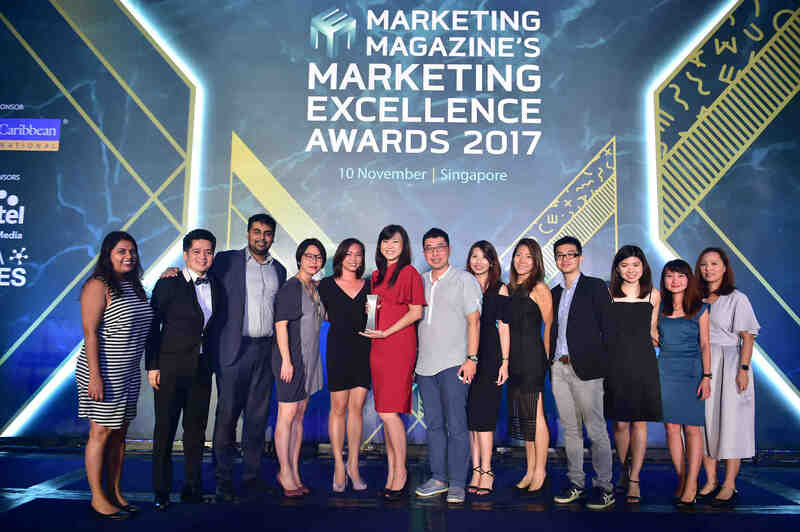 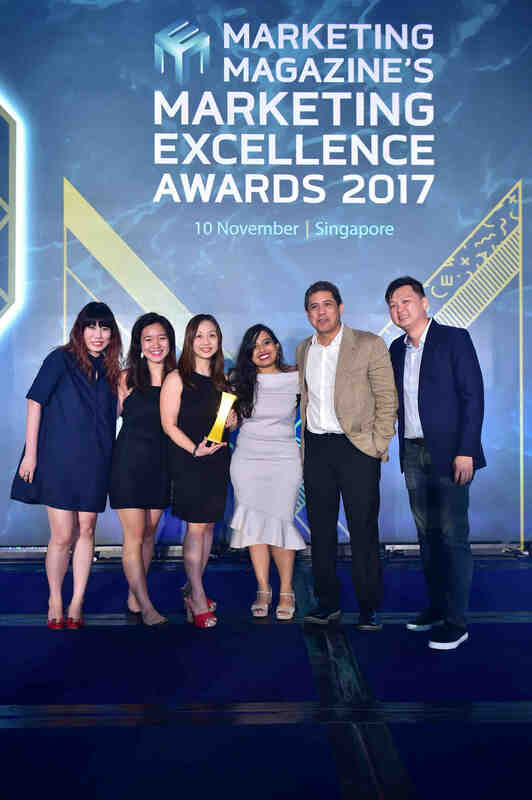 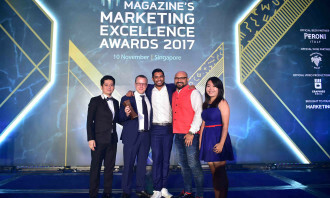 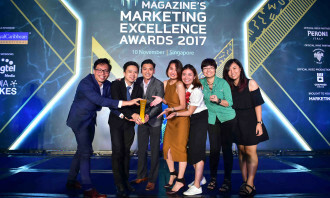 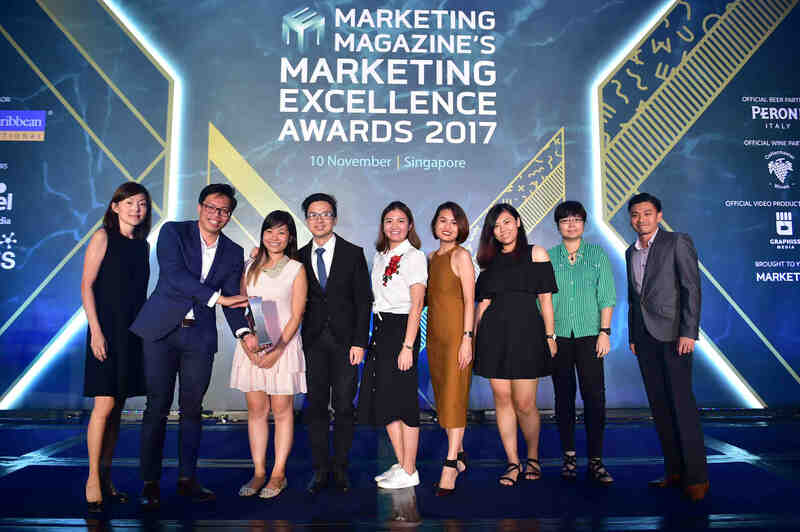 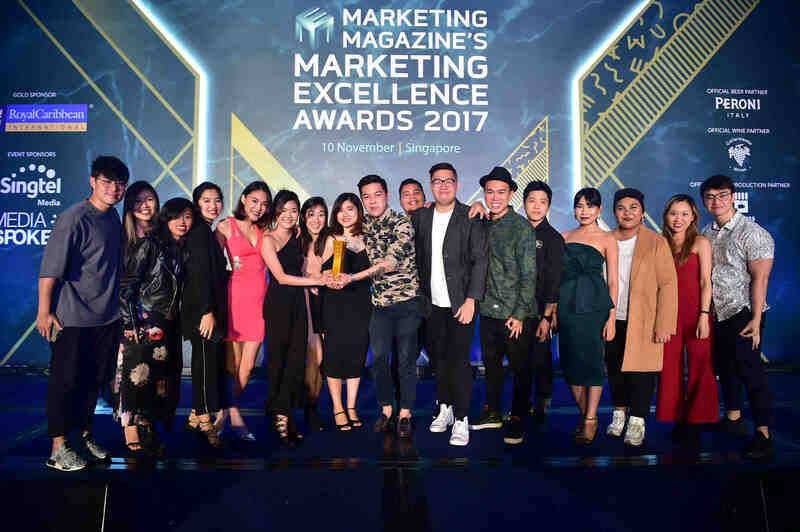 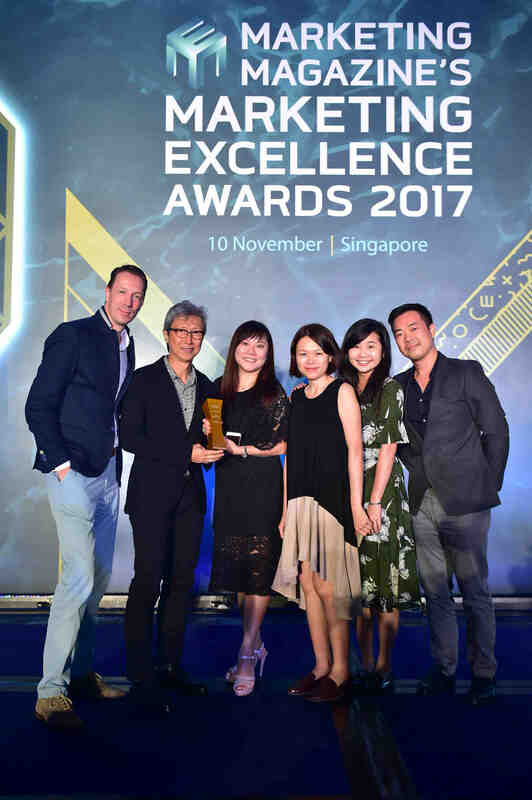 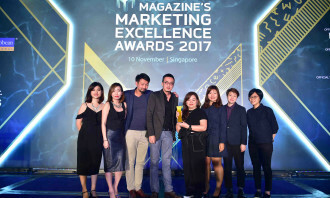 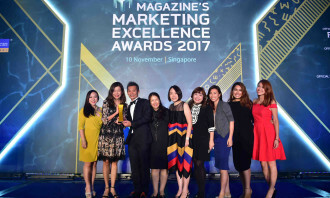 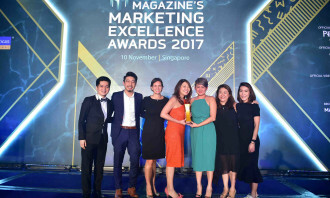 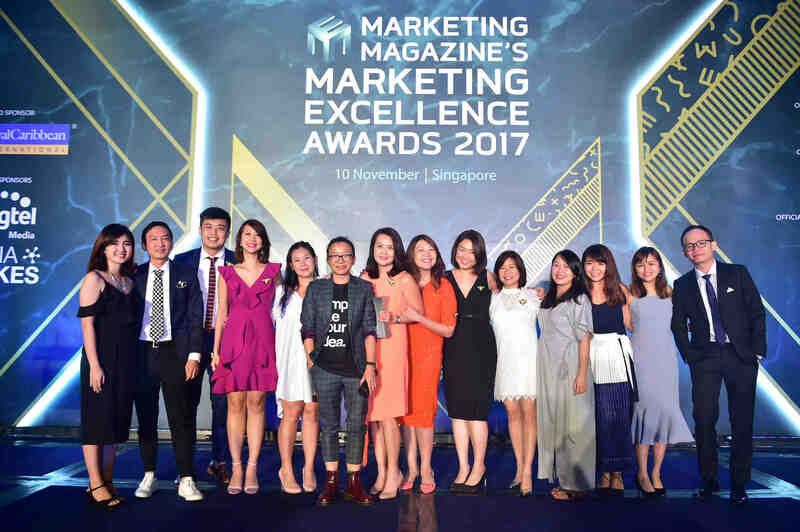 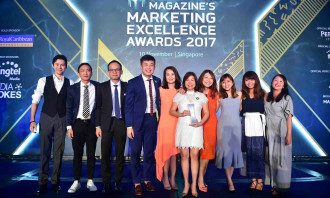 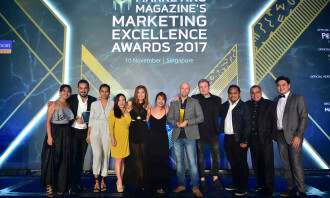 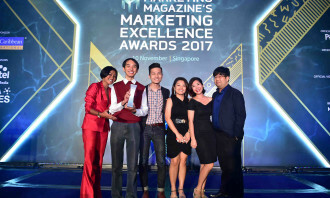 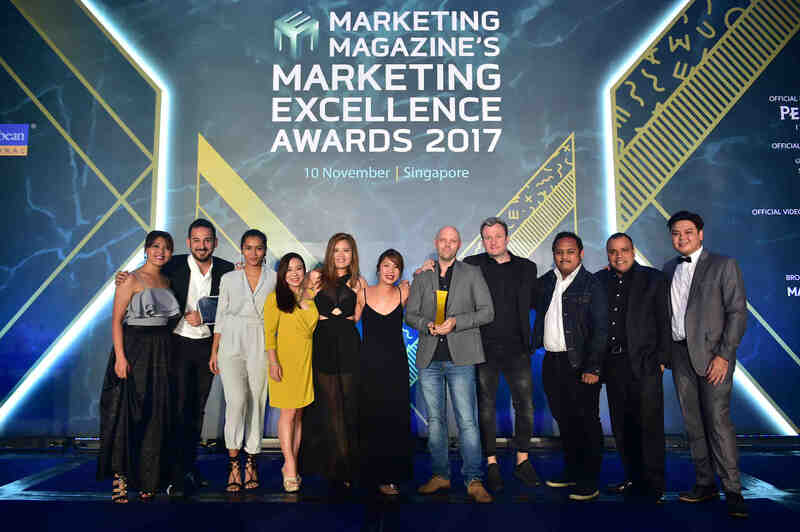 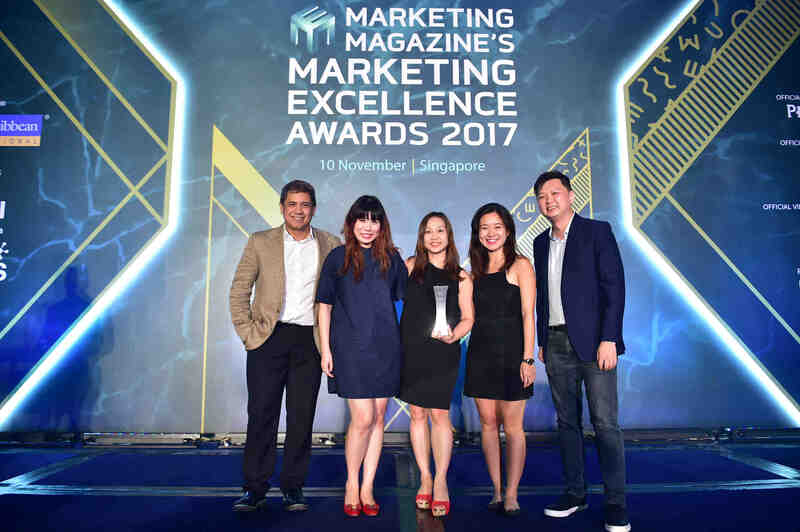 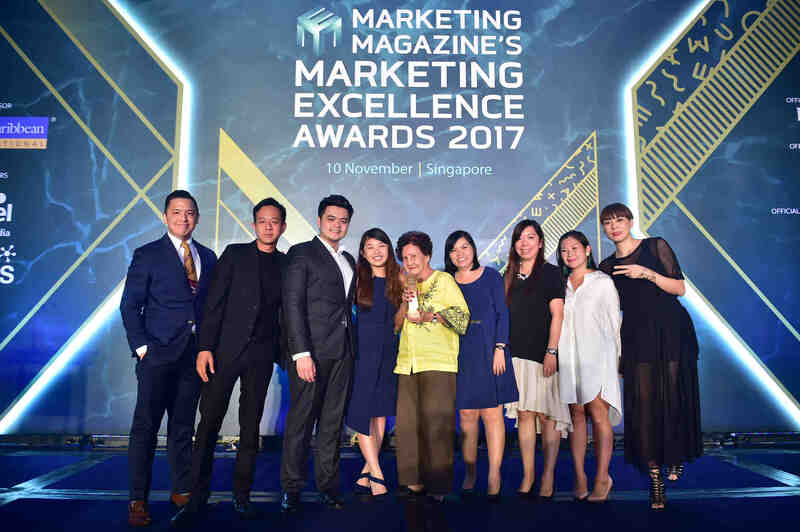 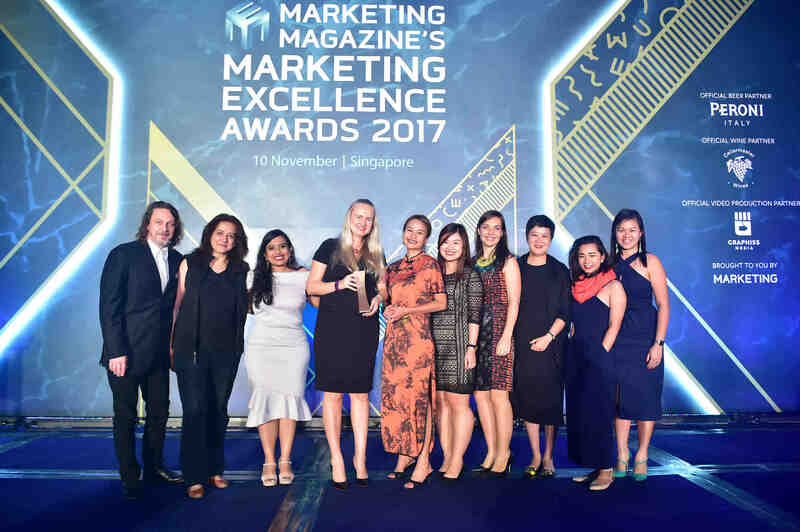 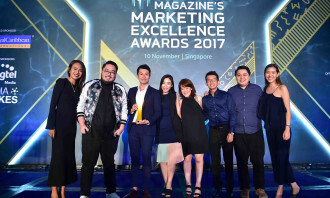 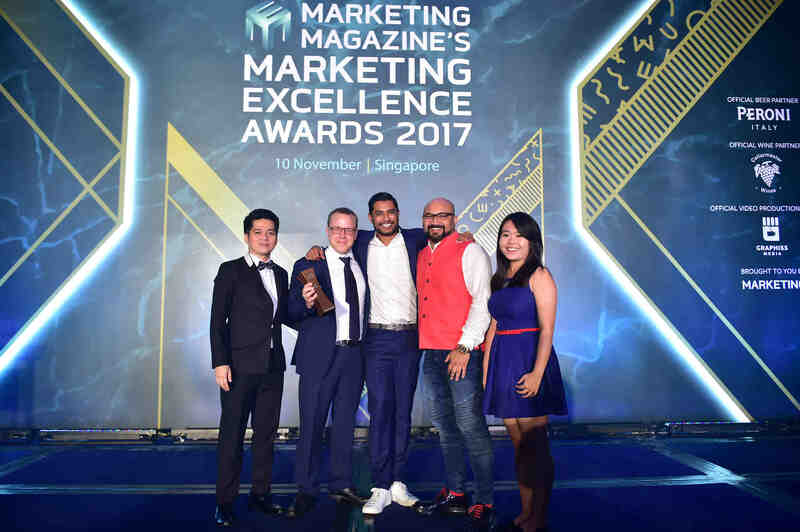 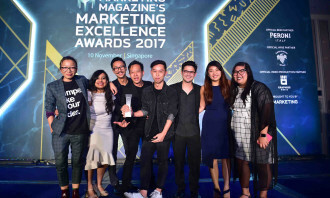 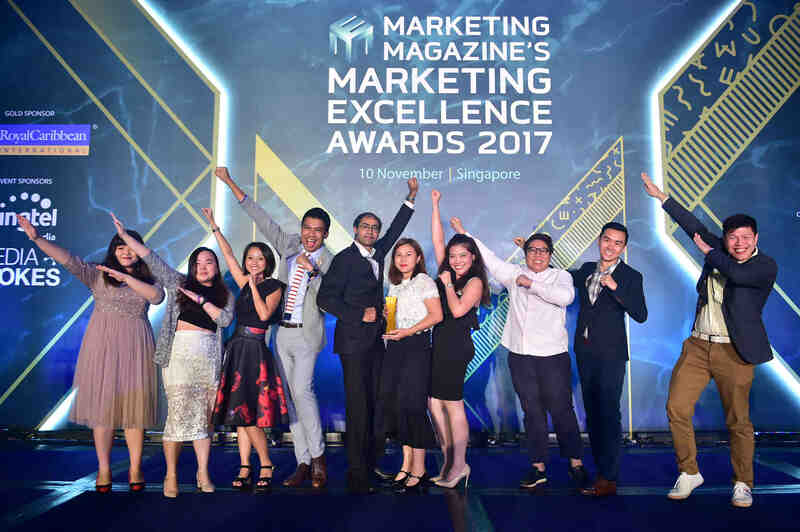 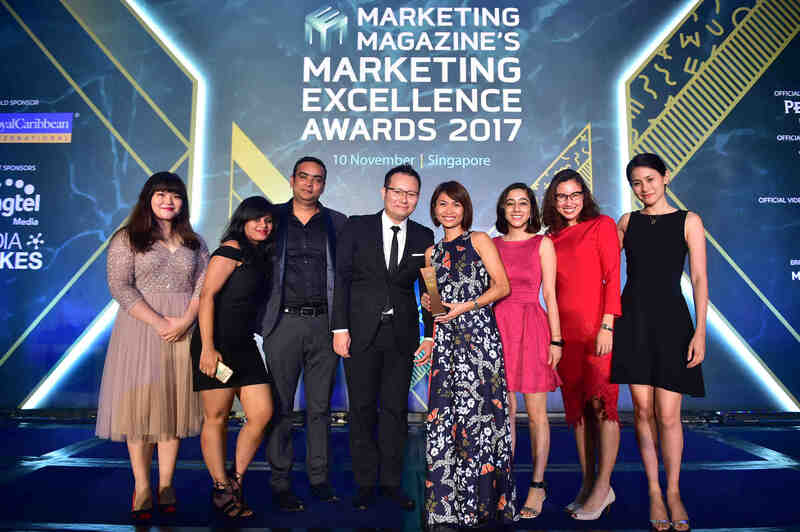 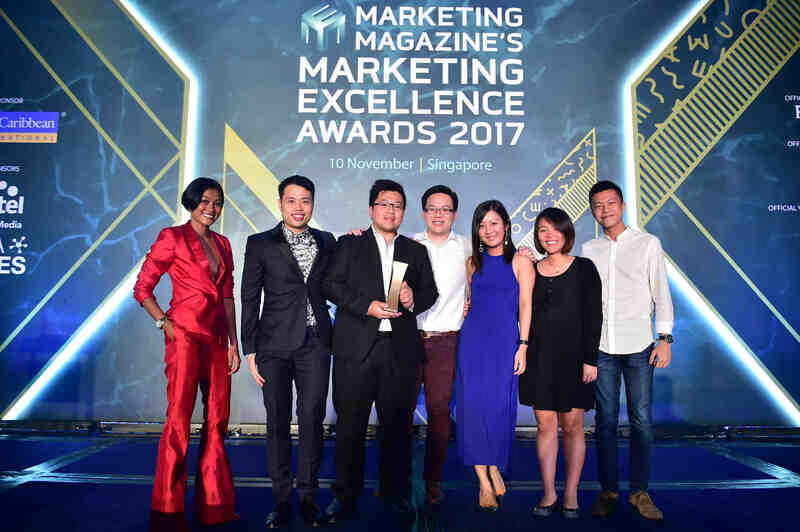 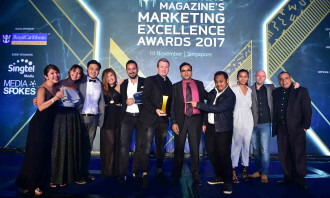 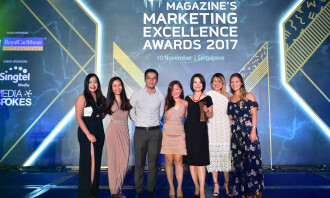 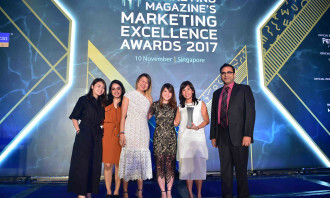 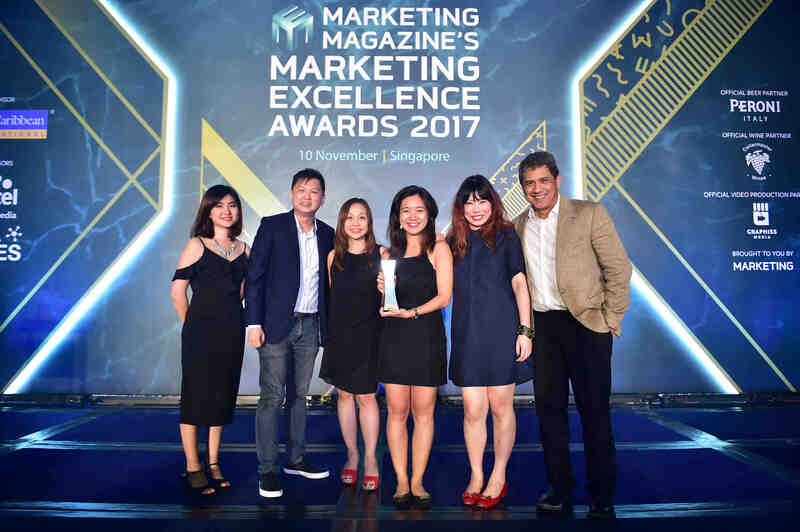 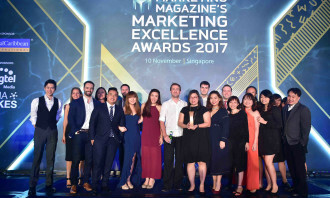 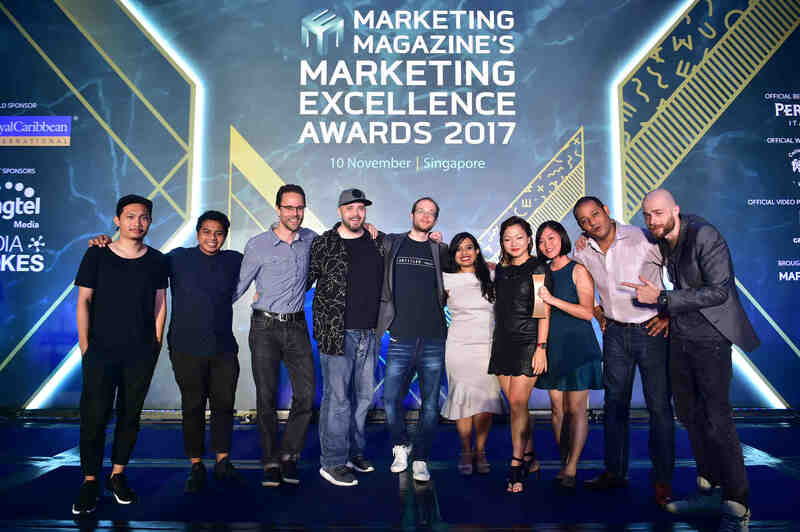 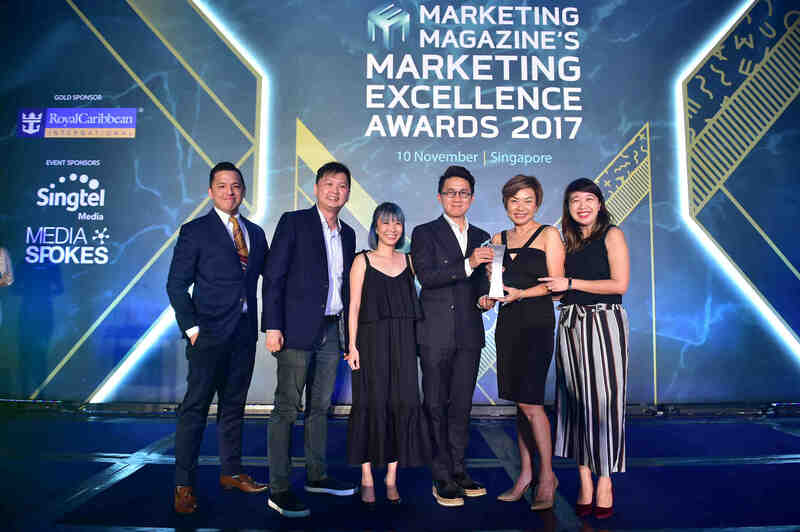 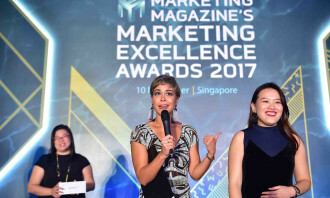 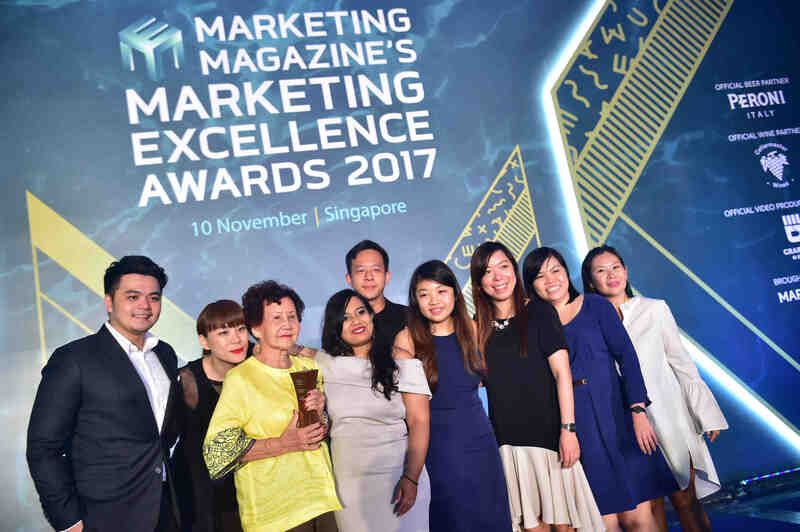 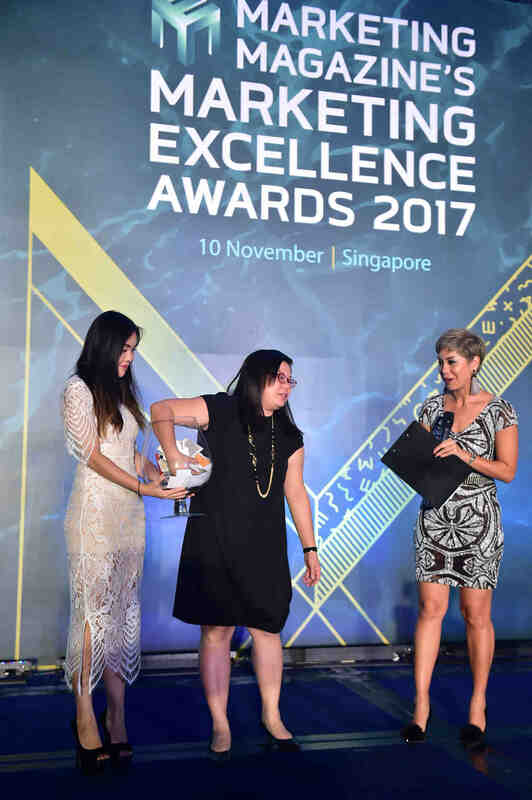 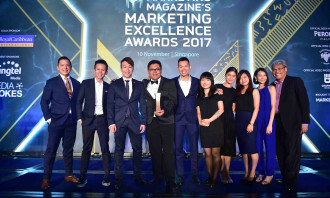 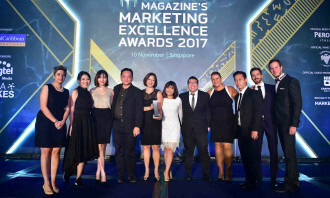 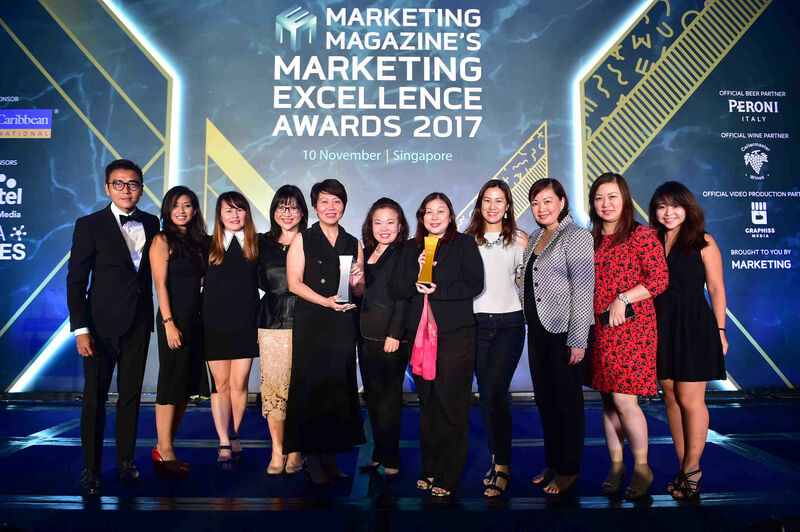 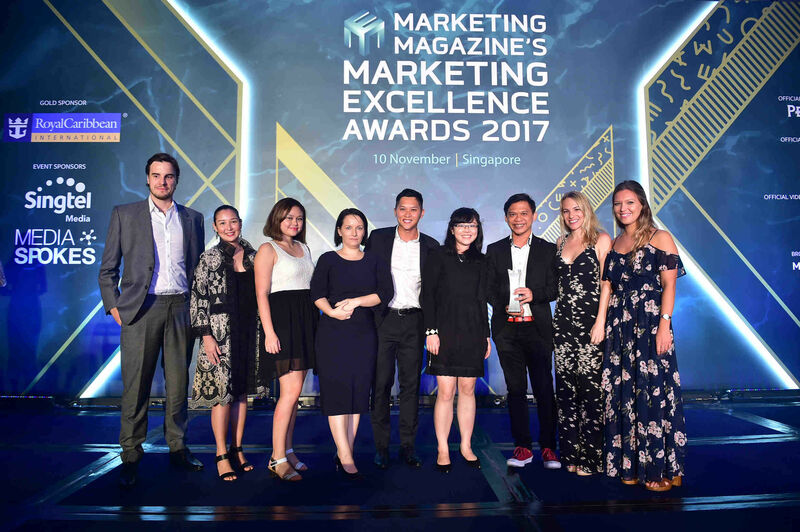 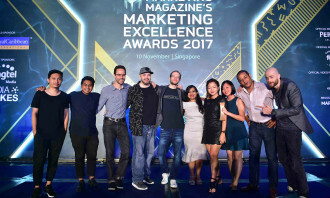 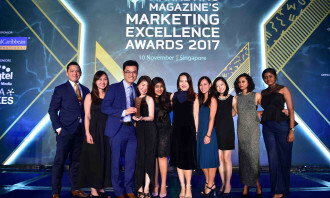 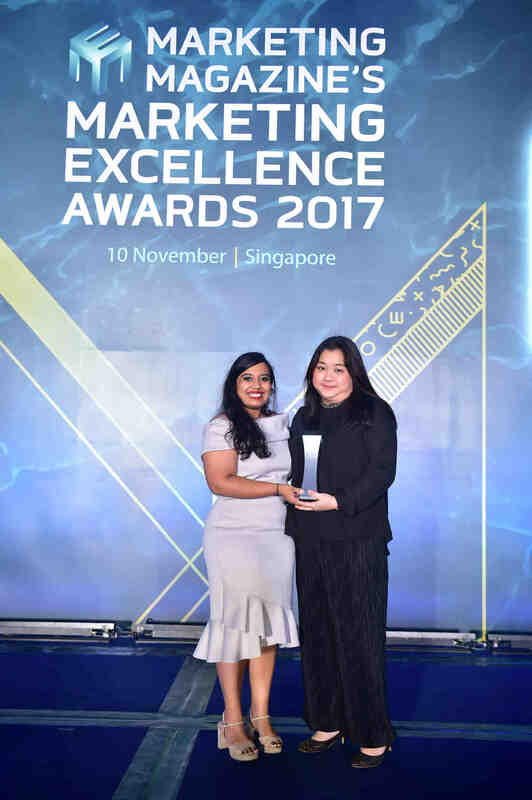 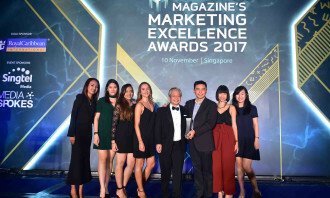 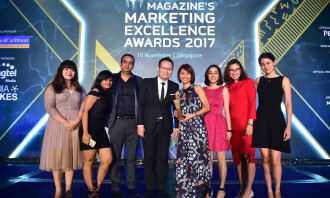 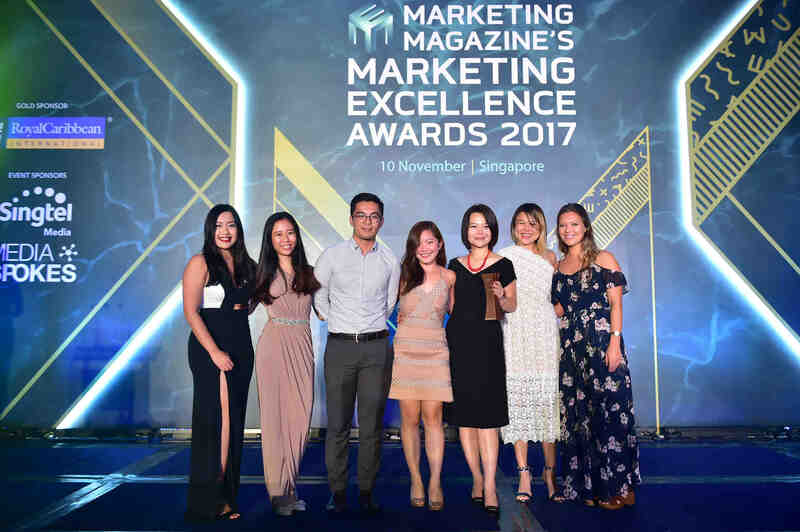 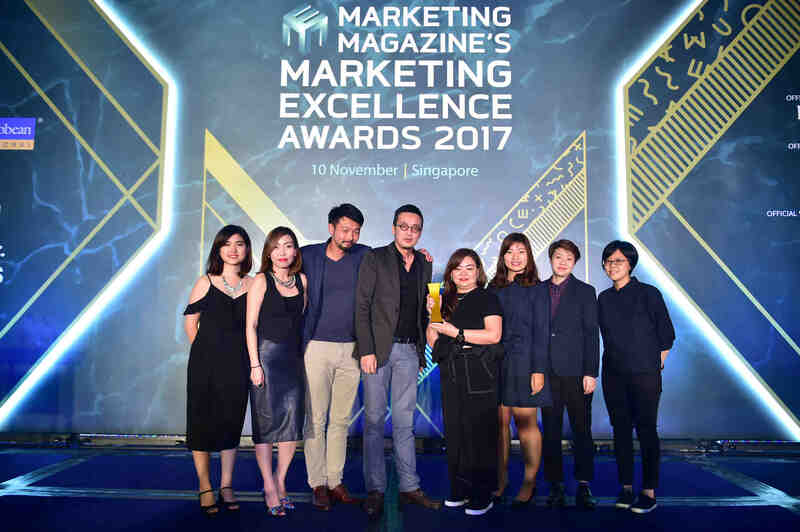 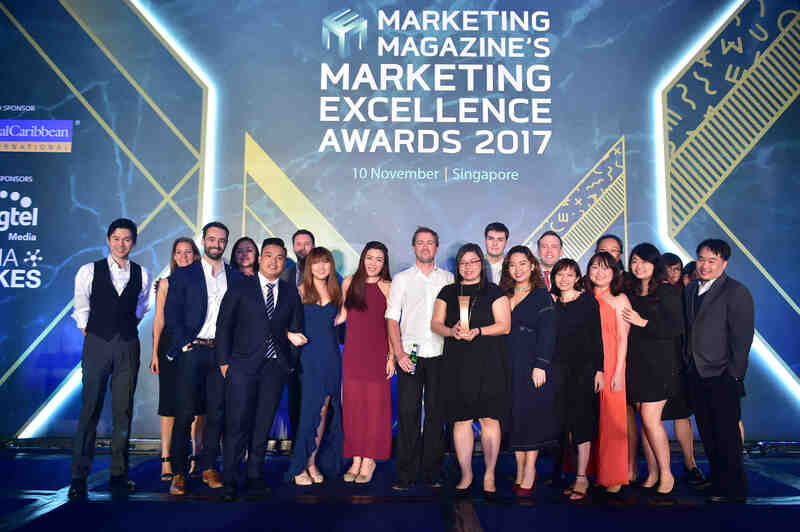 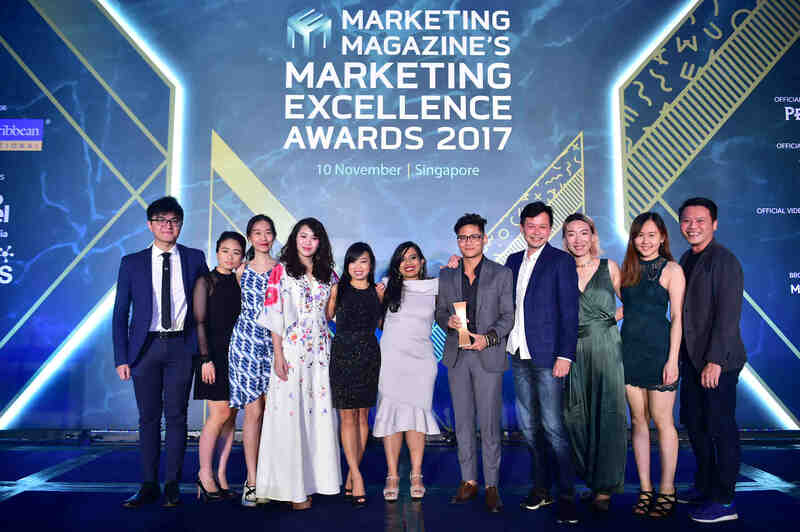 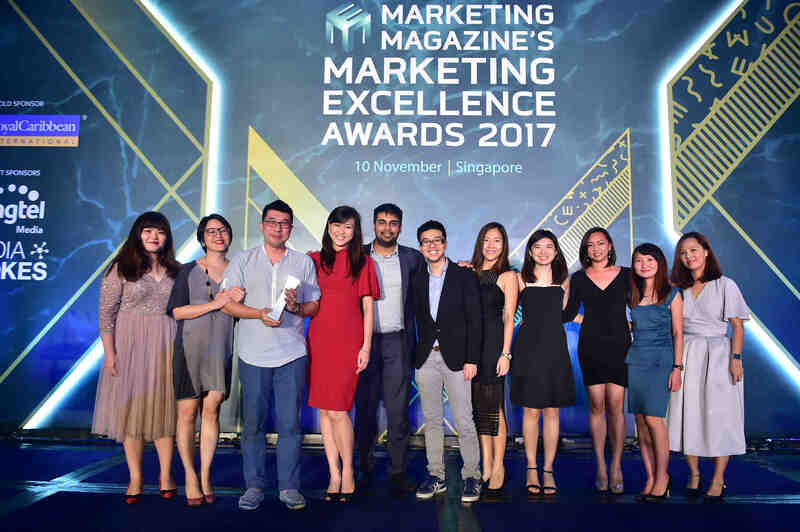 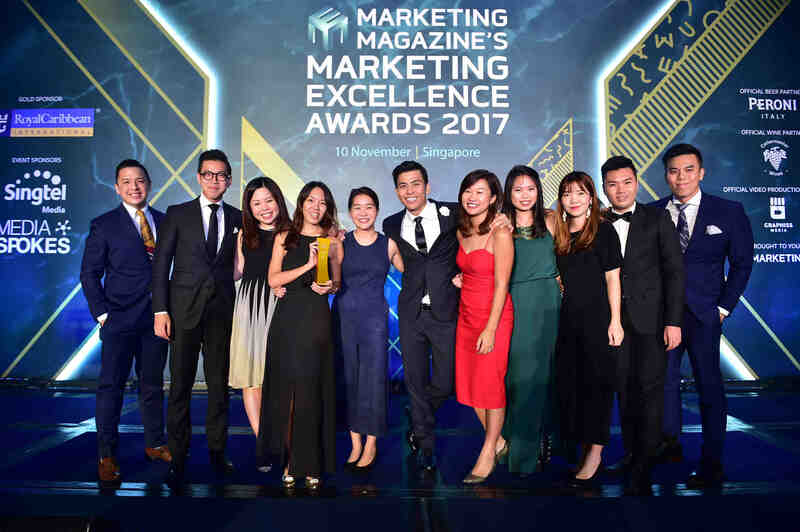 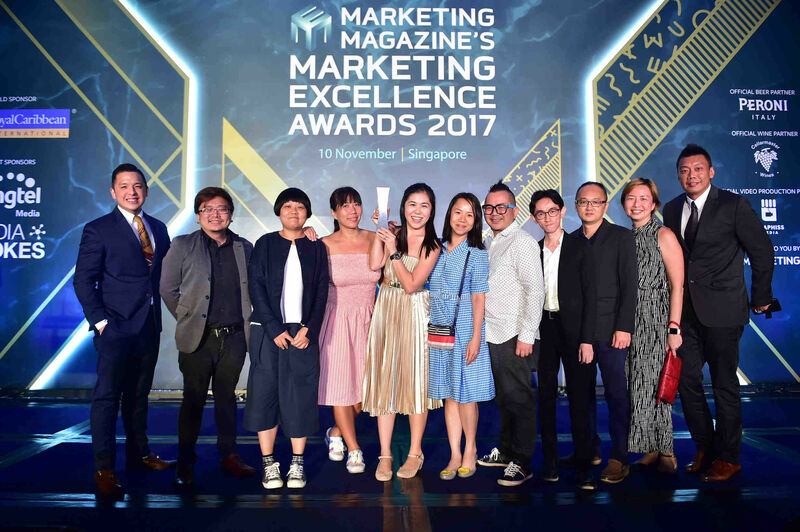 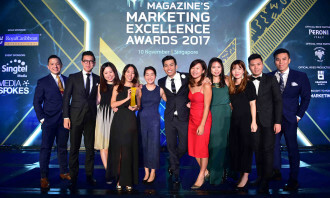 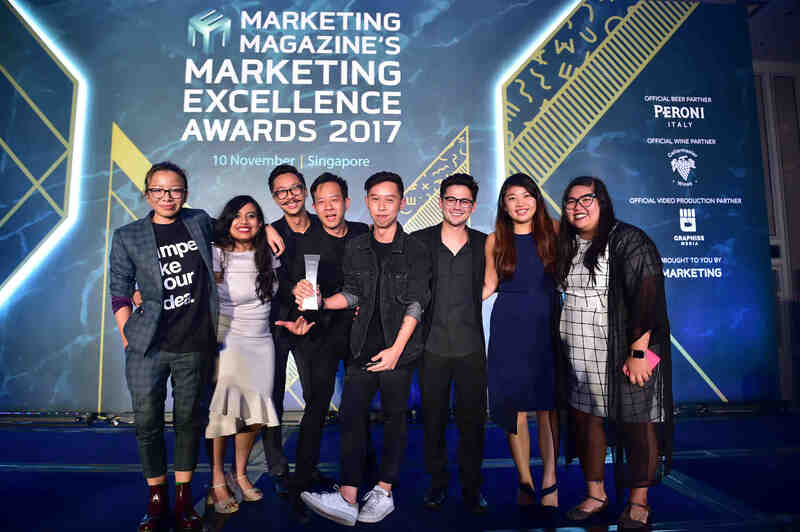 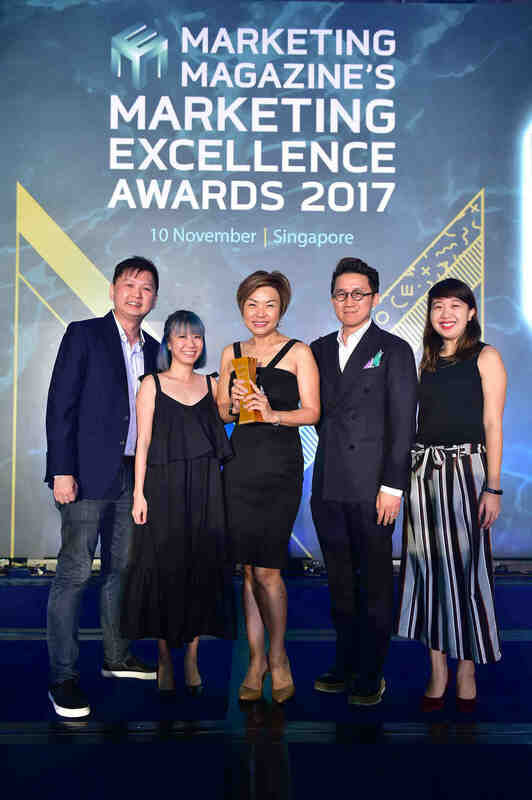 United Overseas Bank(UOB) took home the highest honour of the night and was named 2017’s Marketer Of The Year at Singapore’s main event recognising excellence across the marketing communications services industry, the Marketing Excellence Awards. 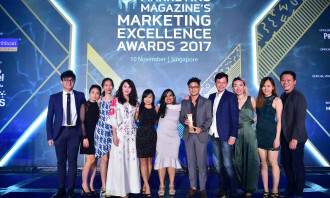 UOB clinched two gold awards in the Excellence in Content Marketing/Native Advertising/Branded Content and Excellence in Integrated Marketing (B2B) categories, but crucial to its win was its FIVE Silver awards in the Excellence in Advertising, Excellence in Brand Strategy, Excellence in Customer Engagement, Excellence in Marketing Innovation and Excellence in TV/Video Advertising categories. 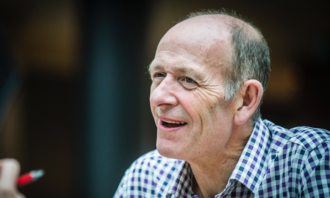 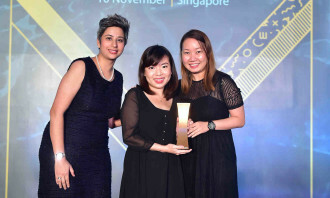 The UOB KidSmart Programme, which won gold in the Content Marketing/Native Advertising/Branded Content category, struck a chord with local parents, touching at the heart of the parent-child relationship and generated a healthy discussion on social media and within forums, making their financial products relevant to the needs of young families. 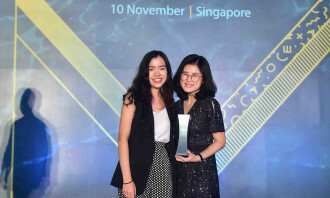 Meanwhile, the UOB Business Banking App which won gold them in the Integrated Marketing(B2B) category, engaged with current and potential customers, and allowed customers to self-serve with functions like Mobile Internet Banking. 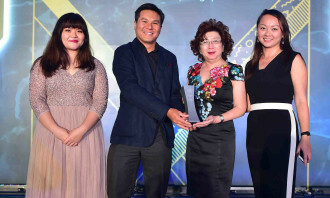 The app also offered SMEs access to its selection of expertise and products through the Business News, Business Insights and Market Trends, Real-time FX Alerts, Product Updates and Promotions on business supplies functions, keeping themselves ahead of their industry competitors. 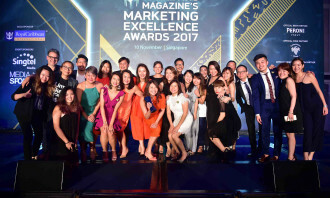 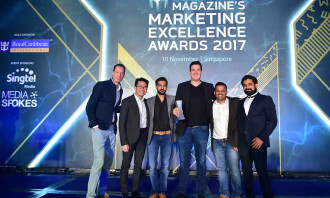 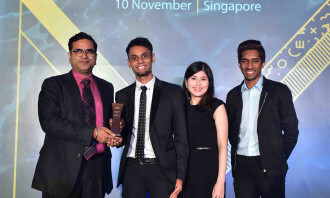 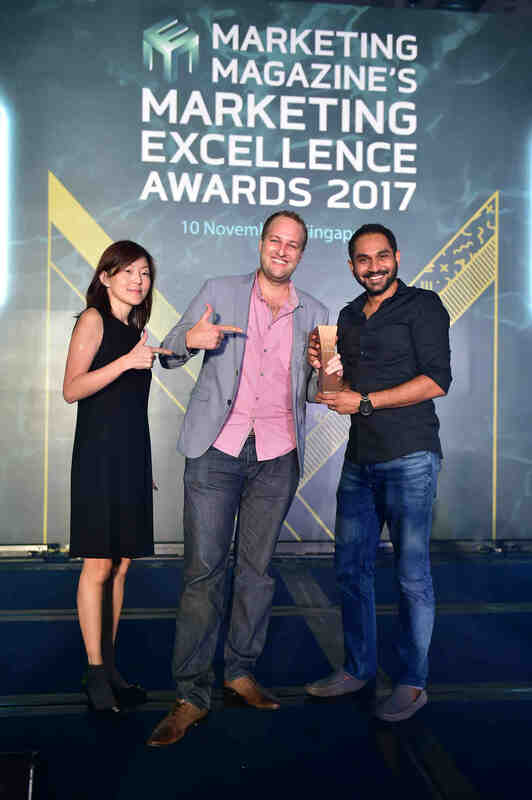 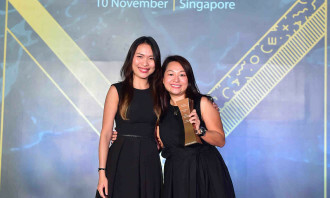 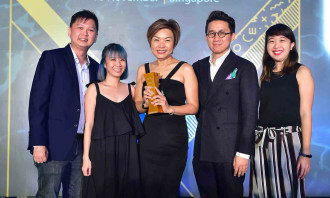 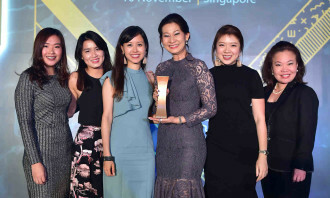 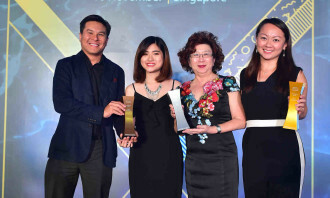 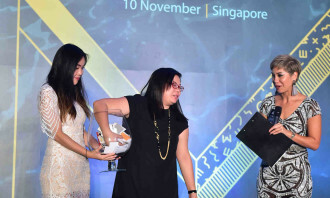 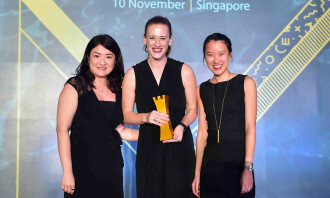 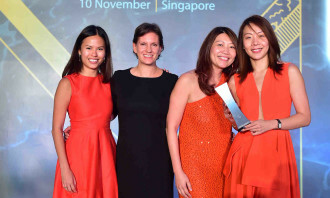 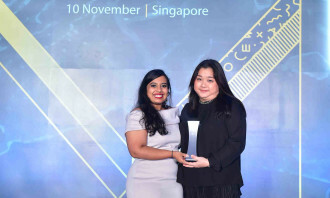 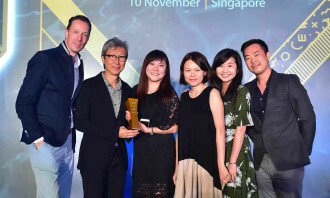 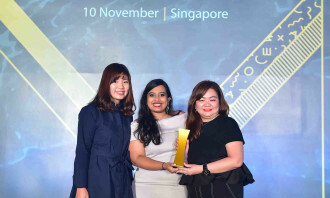 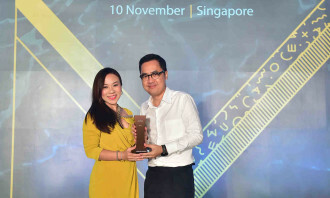 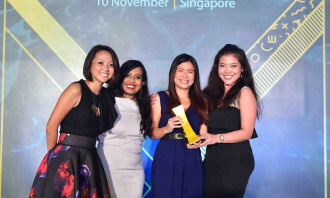 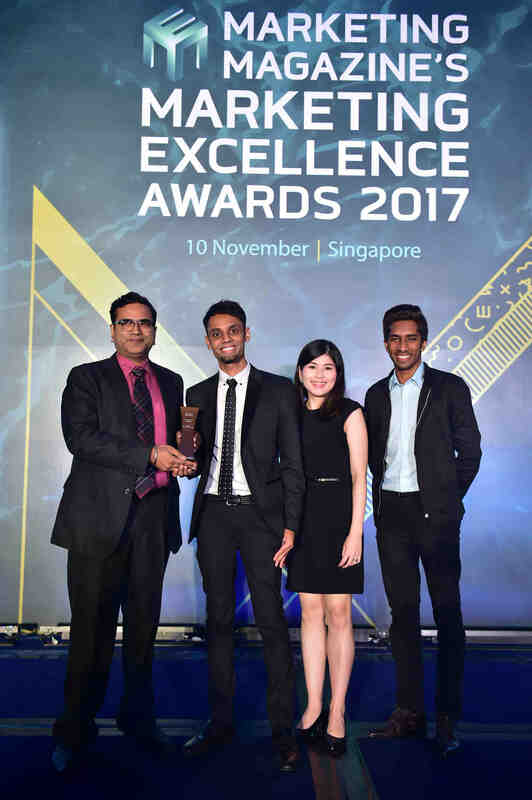 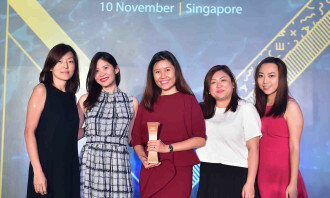 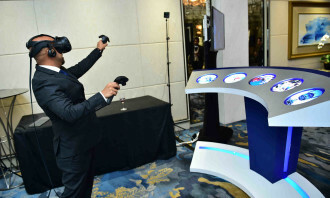 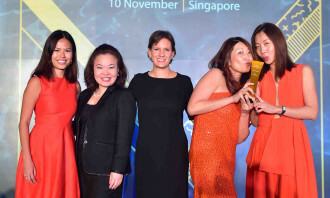 The bank’s big win was witnessed by almost 500 marketing and agency professionals at the gala event which took place 10th November at Shangri-La Hotel, Singapore. 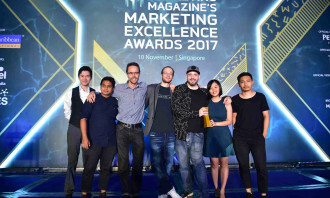 Prior to this, Scoot had won the much-coveted title for an unprecedented three years in a row. 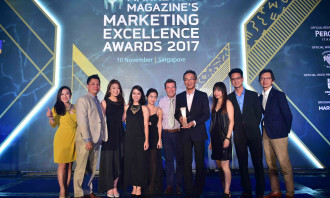 Tying for second place were McDonald’s and Nestlé Singapore, both having won 2 gold and 2 silver awards on the night. 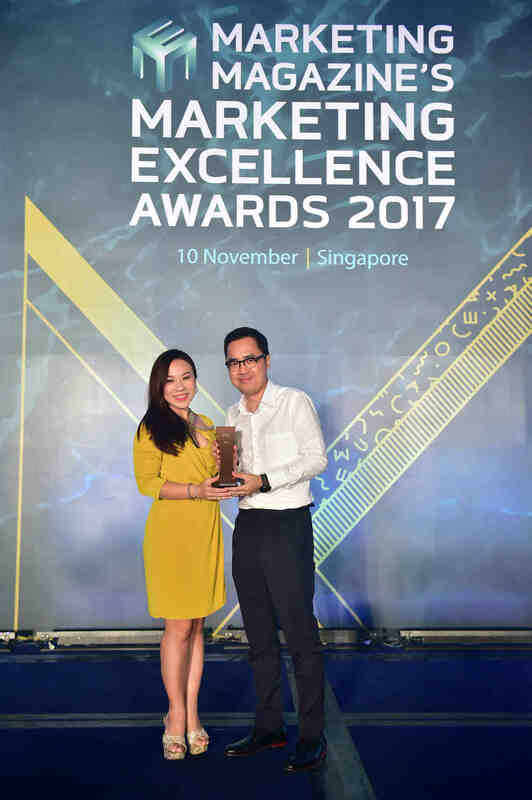 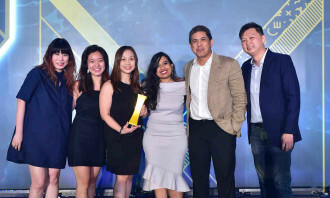 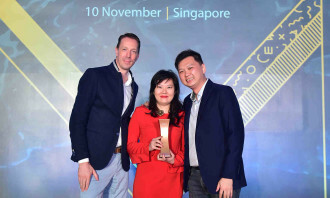 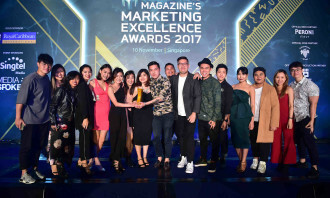 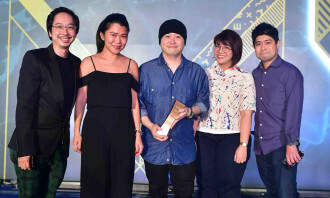 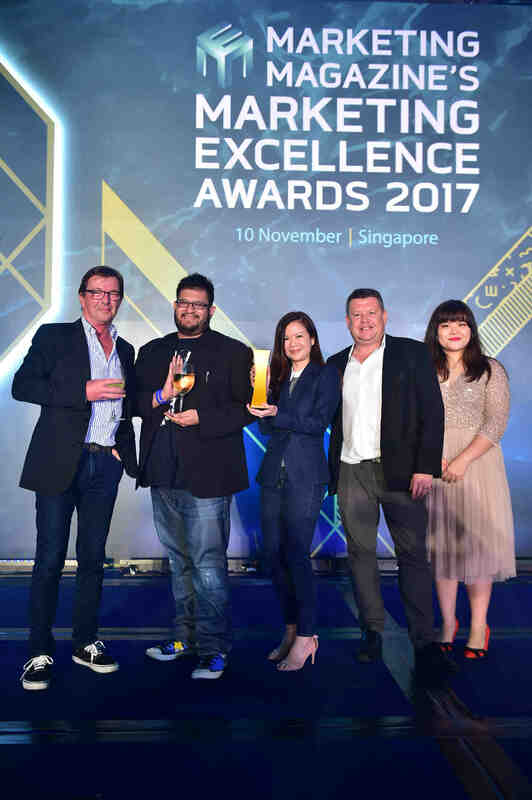 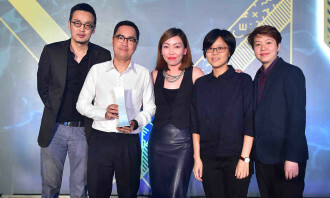 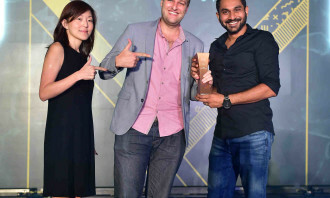 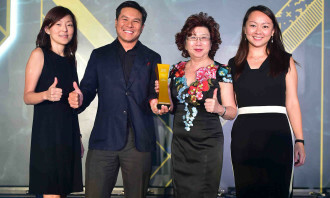 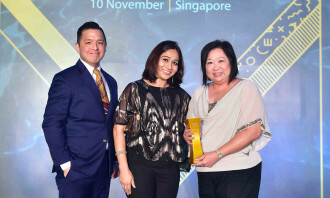 McDonald’s won Gold in Excellence in Data-Driven Marketing and Excellence in Search Marketing for its Capacity Based McDelivery campaign that delivered incremental growth from an existing leadership position. 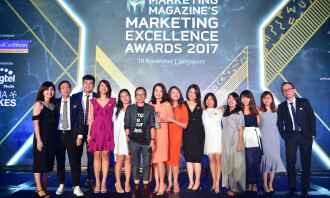 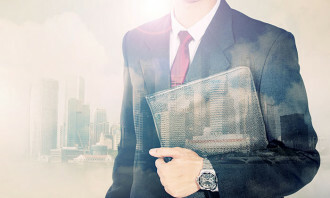 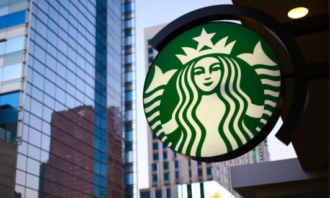 The campaign was such a huge success locally that it now serves as a template for other markets. 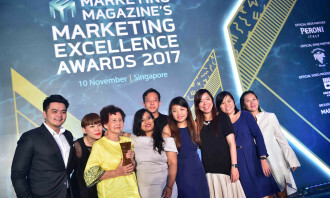 Nestlé Singapore’s “Nestlé Mom & Me. 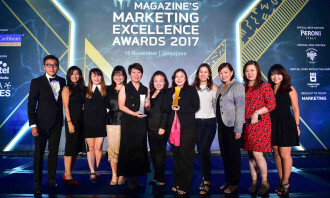 A Taste Of Pregnancy” campaign won gold in both the Excellence in Loyalty Marketing and Excellence in Viral Marketing categories, and silver in both the Excellence in Social Media Marketing and Excellence in Marketing to a Female Audience categories. 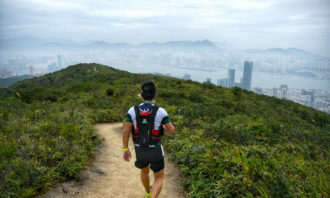 The campaign began with a social experiment conducted in the Central Business District, whereby random male members of the public were approached for a short interview, and then surprised with a series of challenges involving them wearing a pregnancy suit, all to get them to further sympathize with the plight of expecting mothers. 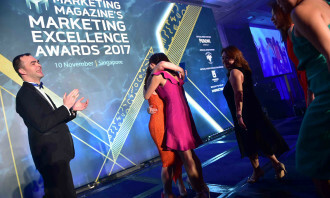 This first part of the campaign resonated so well with pregnant women, and spawned a sequel which saw involvement from members of the public. 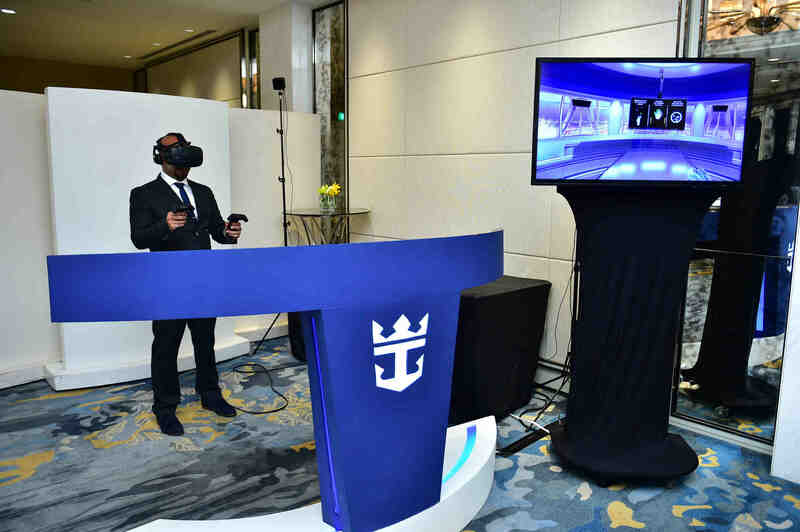 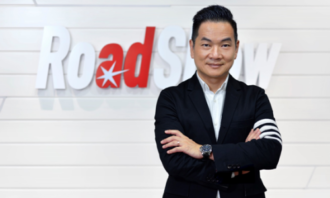 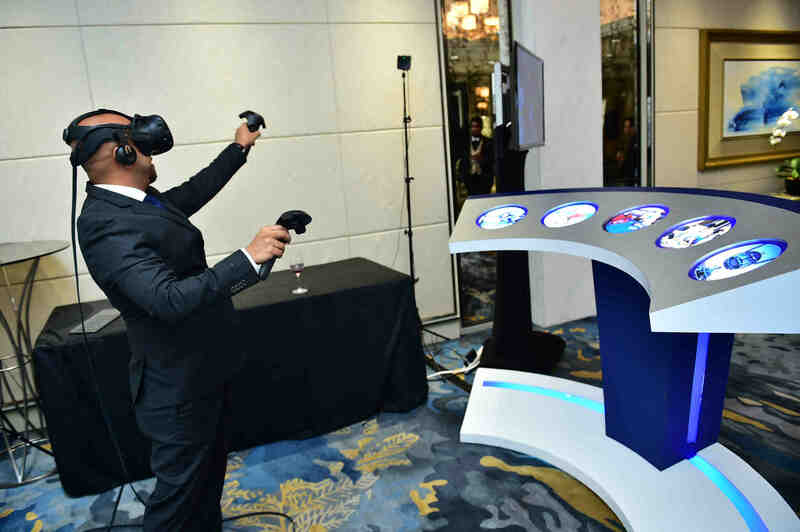 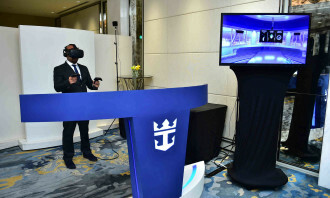 Event highlights included Gold Sponsor Royal Caribbean’s lucky draw, which saw one lucky attendee walk away with a stay in the Balcony Stateroom for two worth SG$2500 on a four-night cruise. 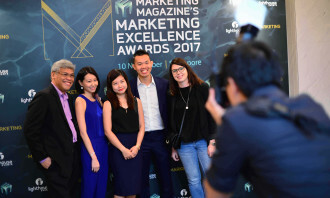 Thanks to Video Production Partner Graphiss Media, all attendees were able to immerse themselves in the night’s festivities regardless of where they were seated. 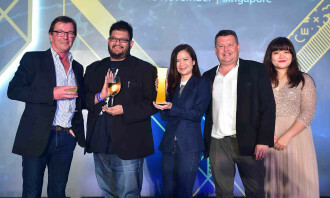 Sponsors Peroni and Cellarmaster Wines ensured that all in attendance were never short of beer and wine respectively. 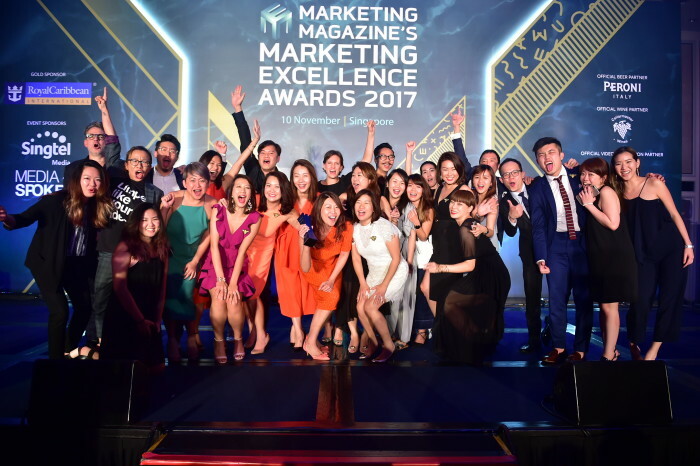 The Marketing team sends their heartiest congratulations to all winners across the thirty three categories, and we look forward to seeing all of you once again at next year’s Marketing Excellence Awards!